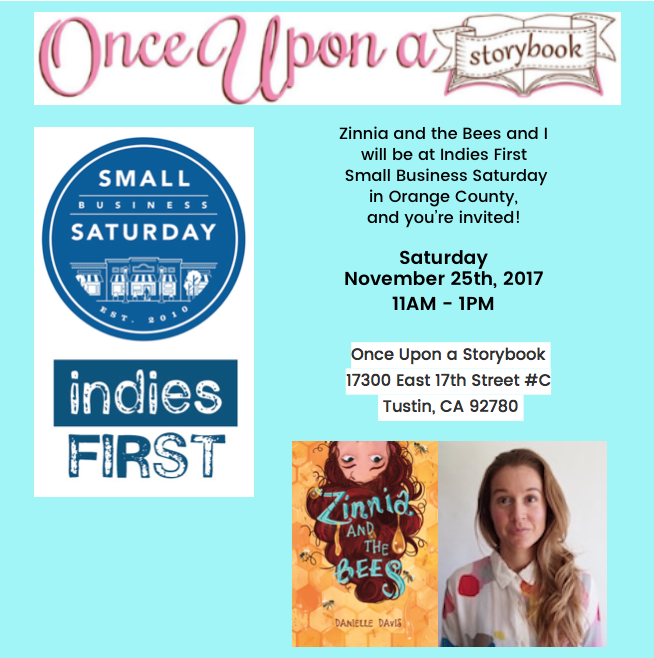 Very happy to be appearing at a small business/indie bookstore on Small Business Saturday/Indies First. 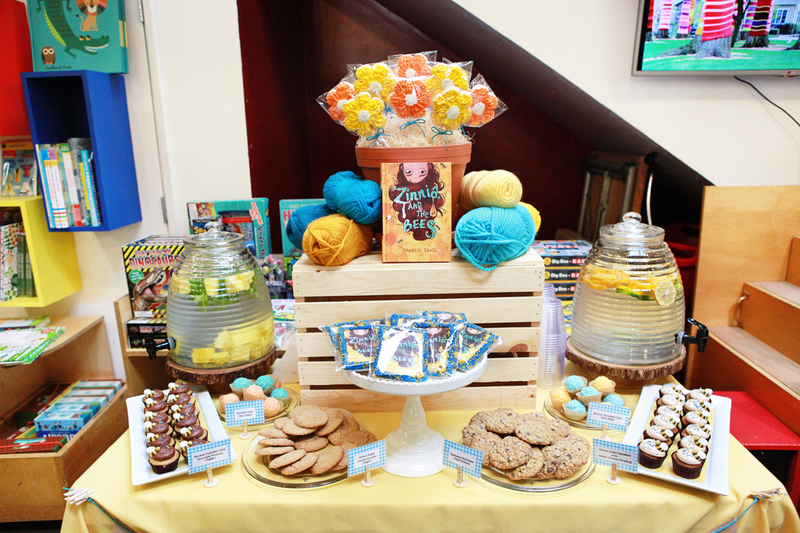 Saturday, November 25th, I’ll be at Once Upon a Storybook in Tustin, Orange County at 11am, and I hope to see you there! 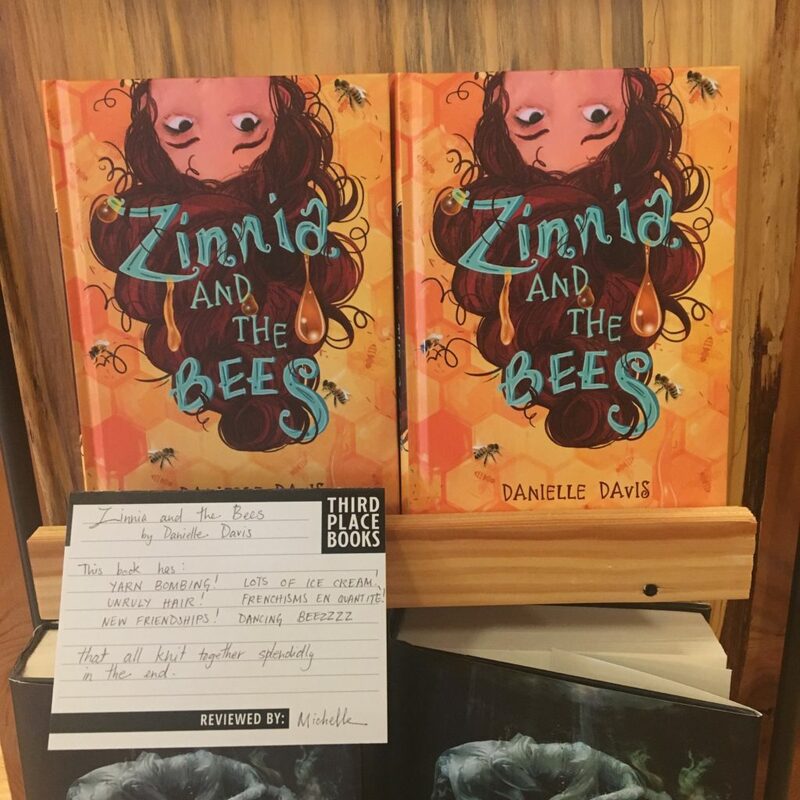 zinnia and the bees at collage collage! 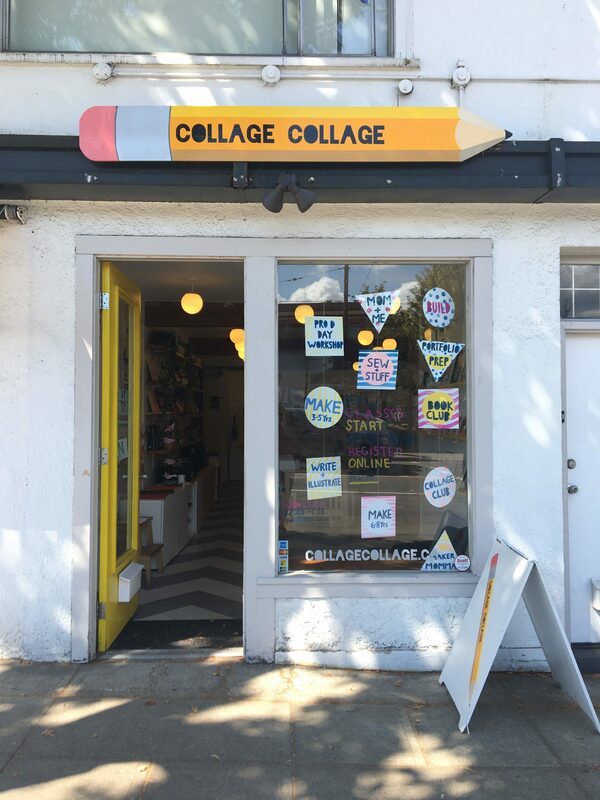 My last stop was Collage Collage in Vancouver BC (and my first time to that fantastic city!). 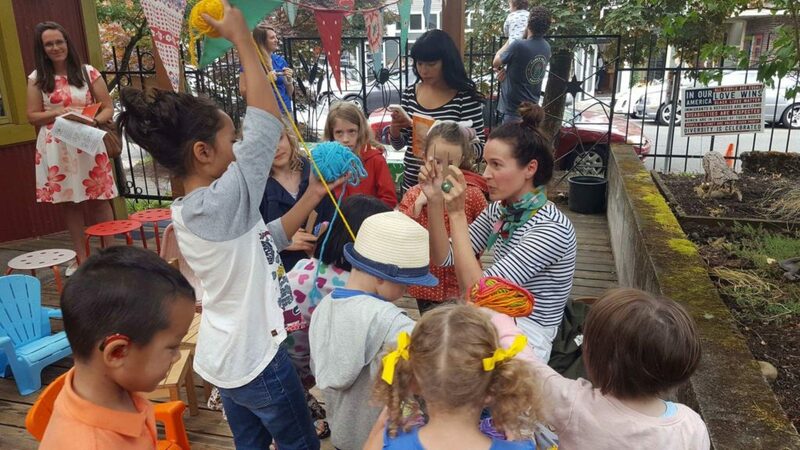 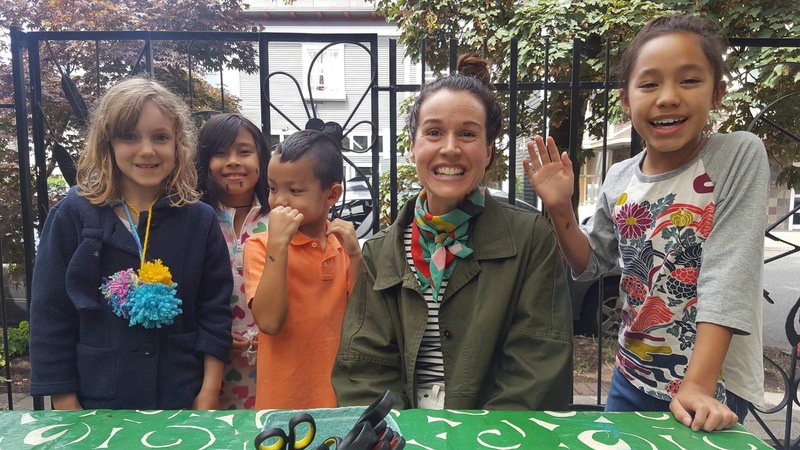 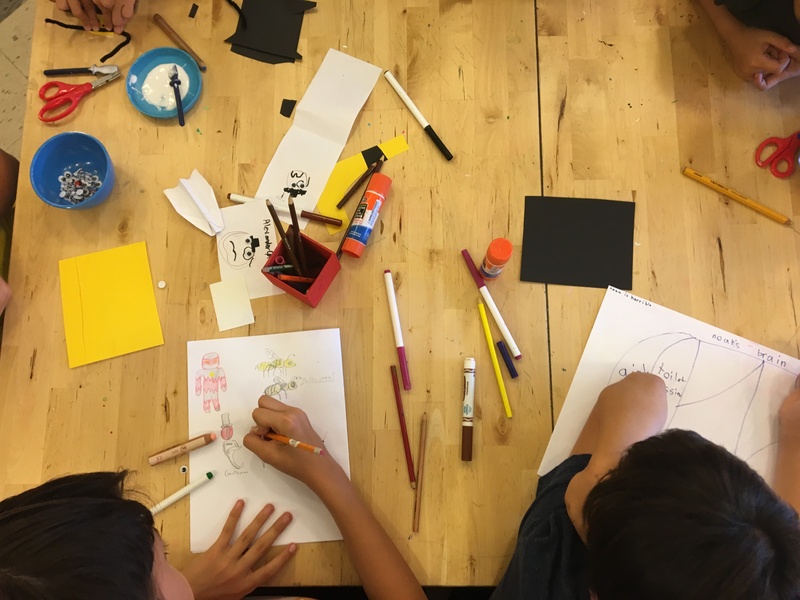 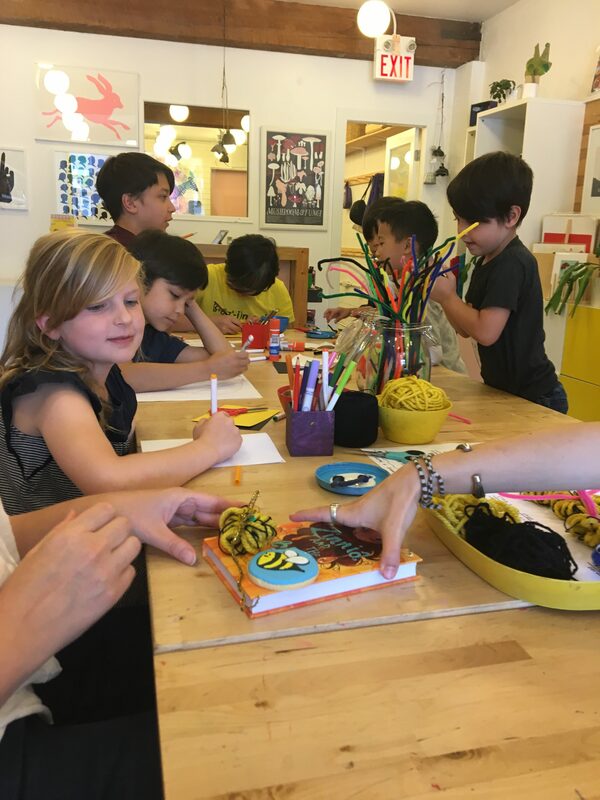 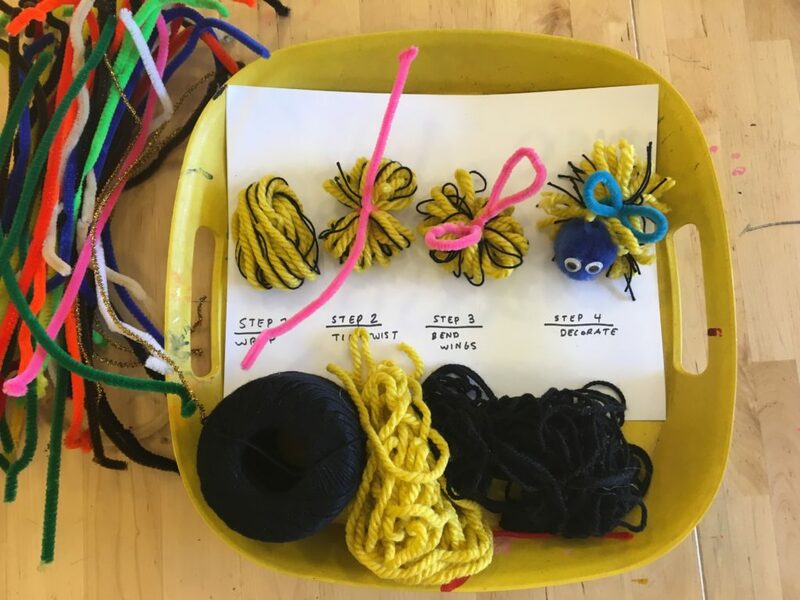 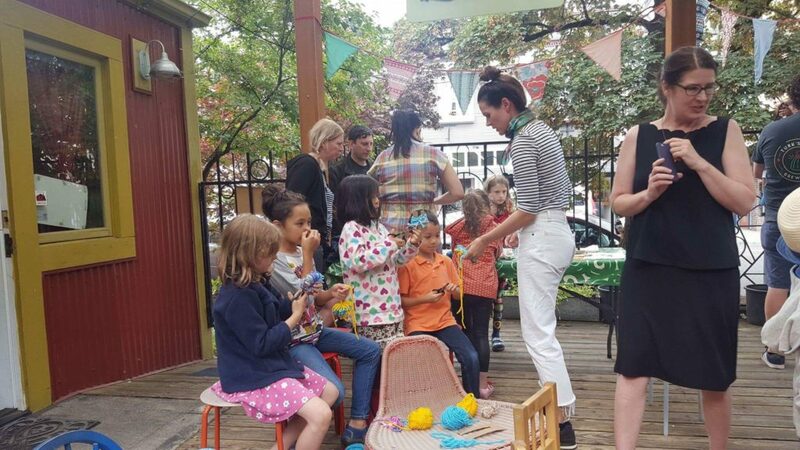 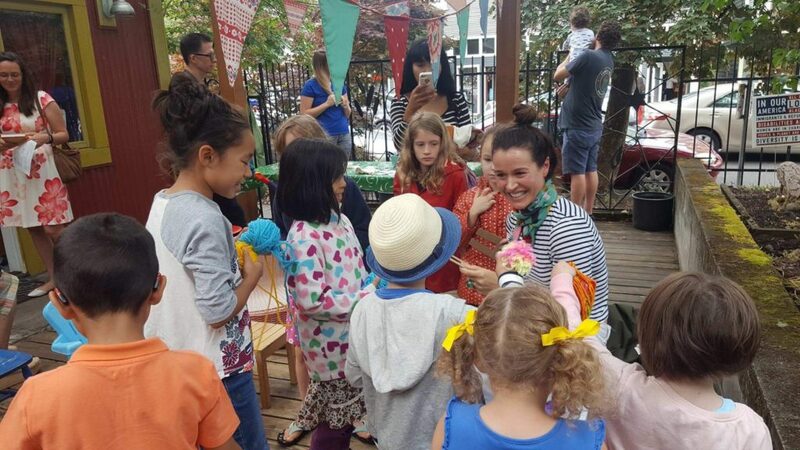 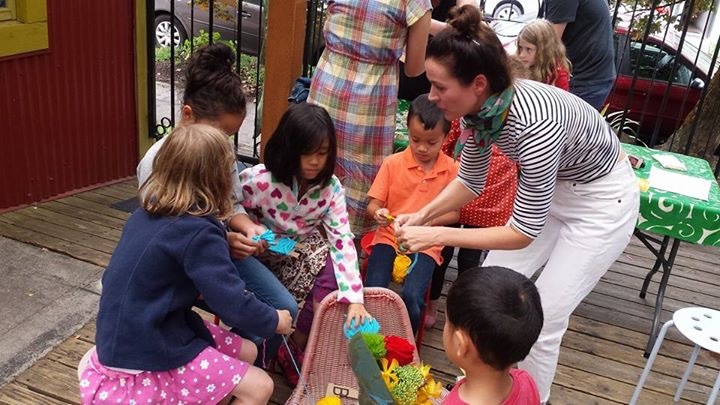 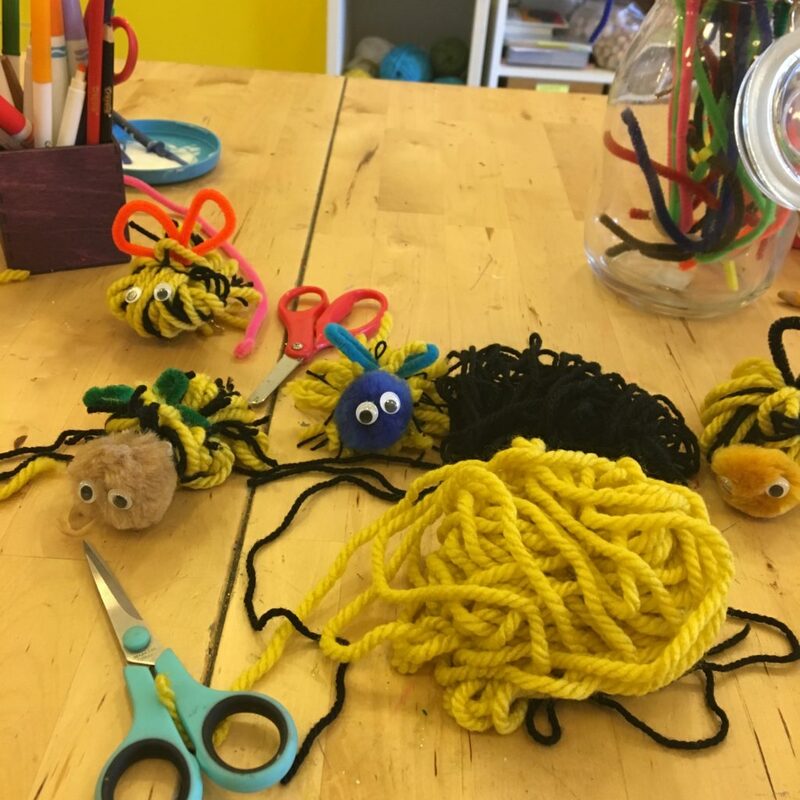 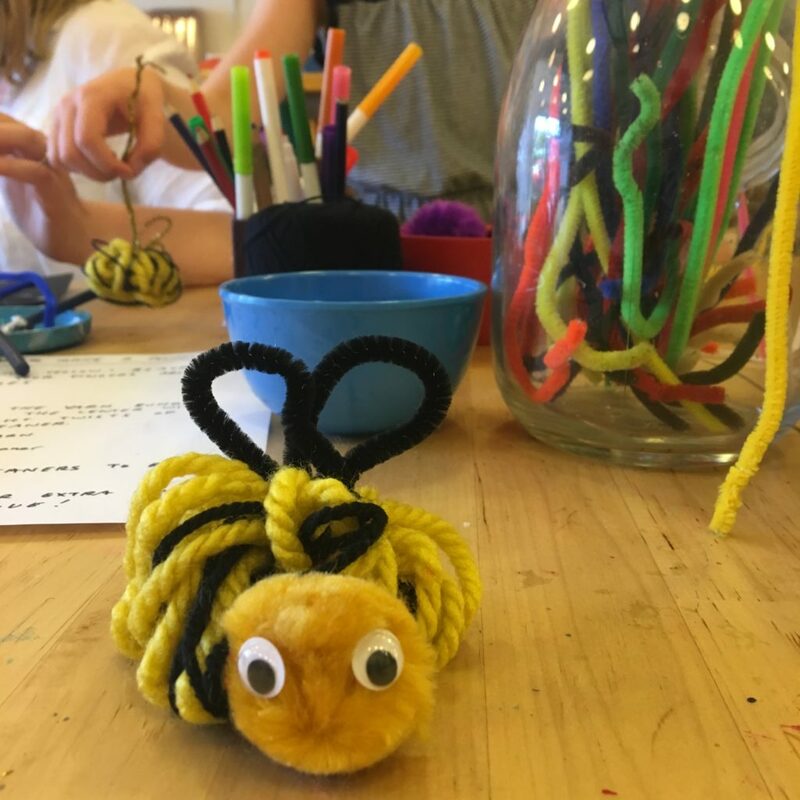 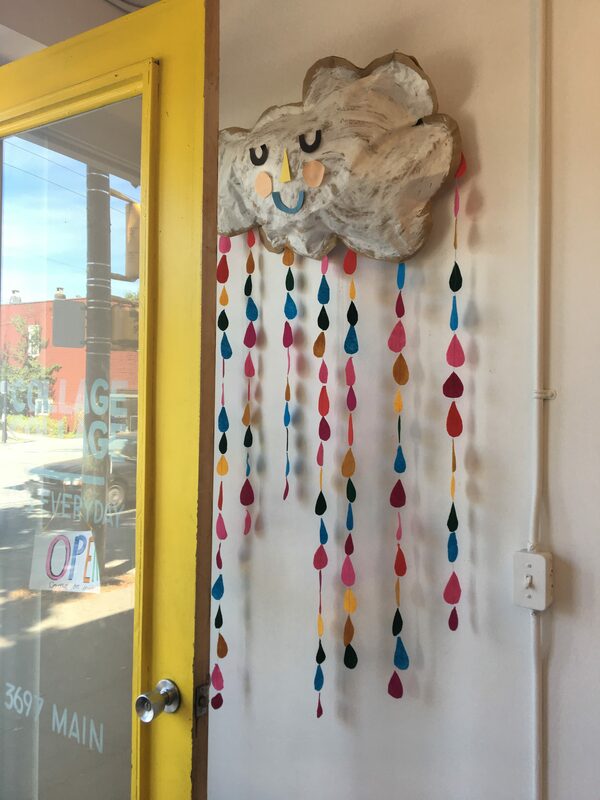 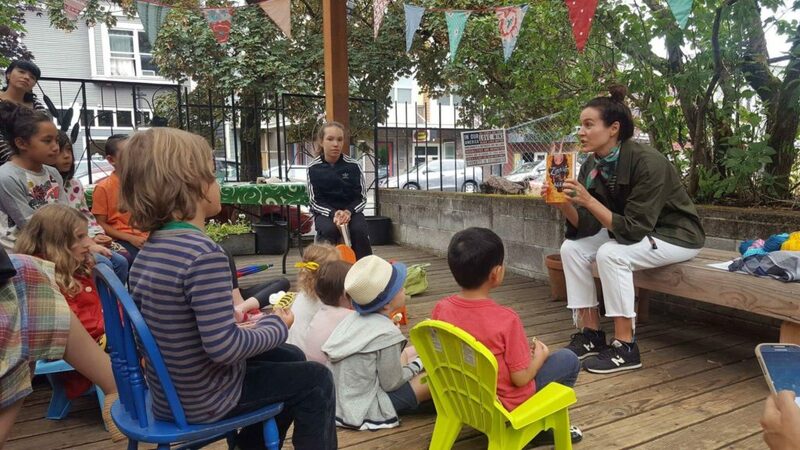 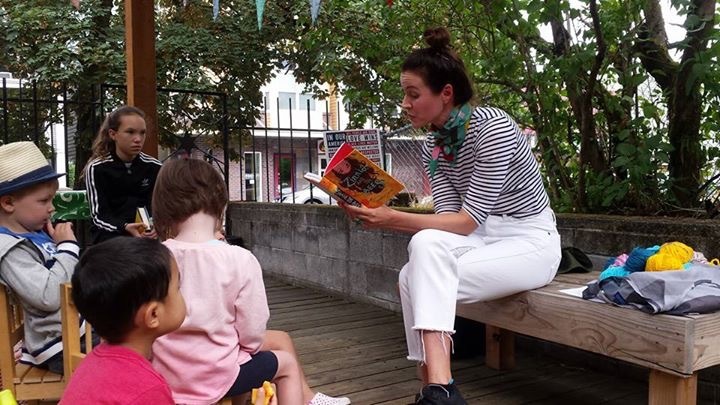 It’s a very special art space for kids and we had a two hour slot to talk about the book and make yarn bees! 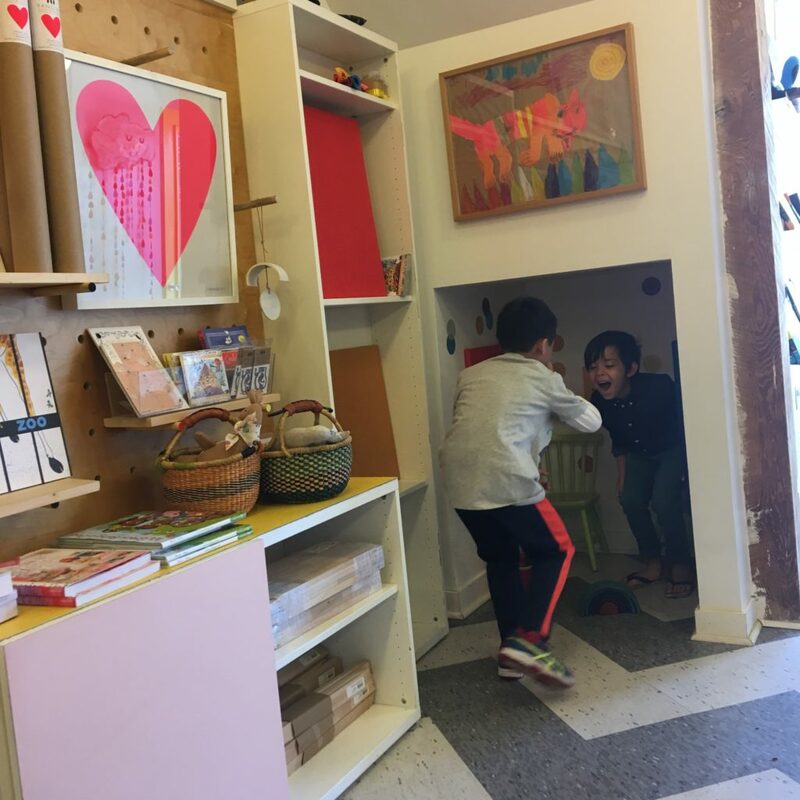 How wonderful is that? 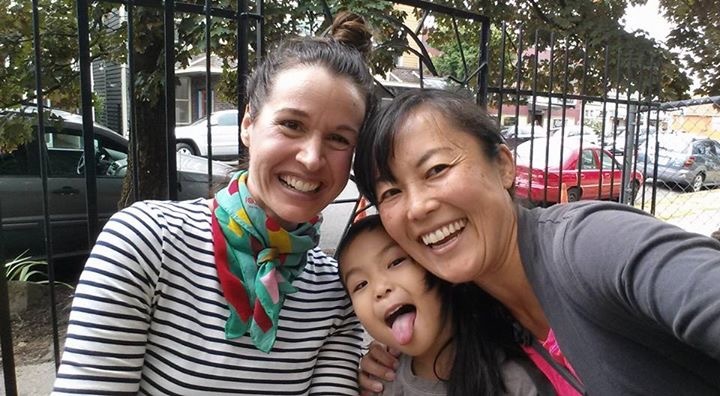 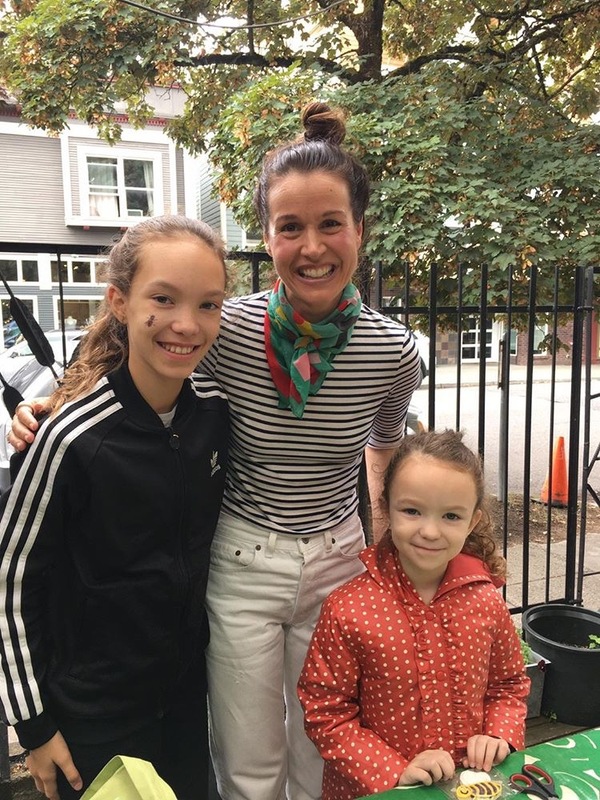 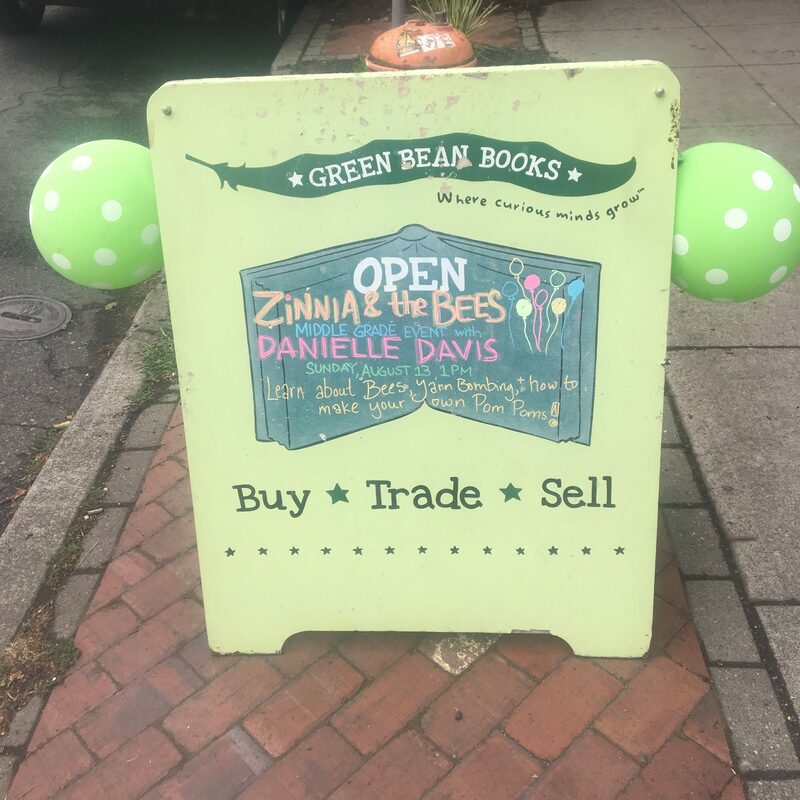 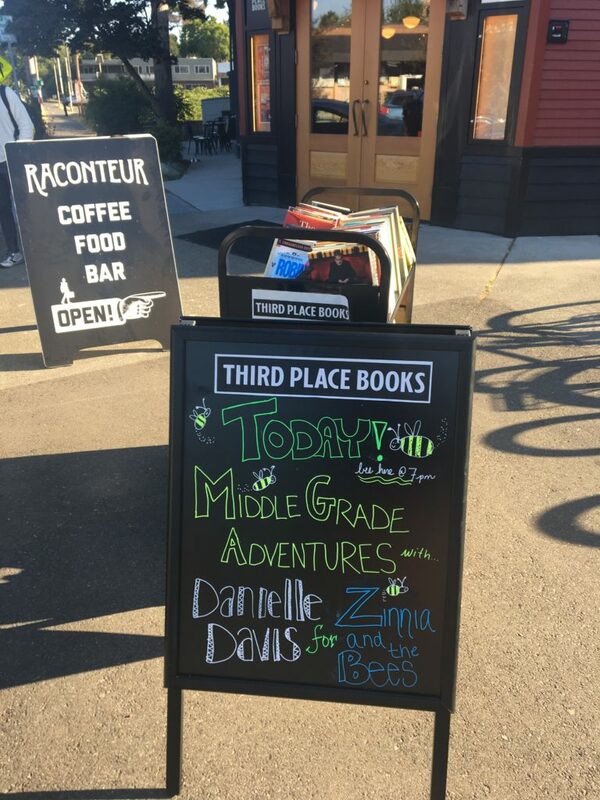 zinnia and the bees at green bean books in portland! 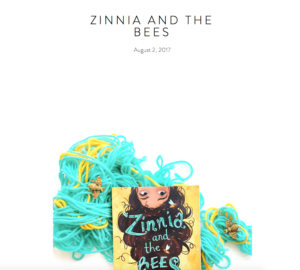 zinnia and the bees launch! 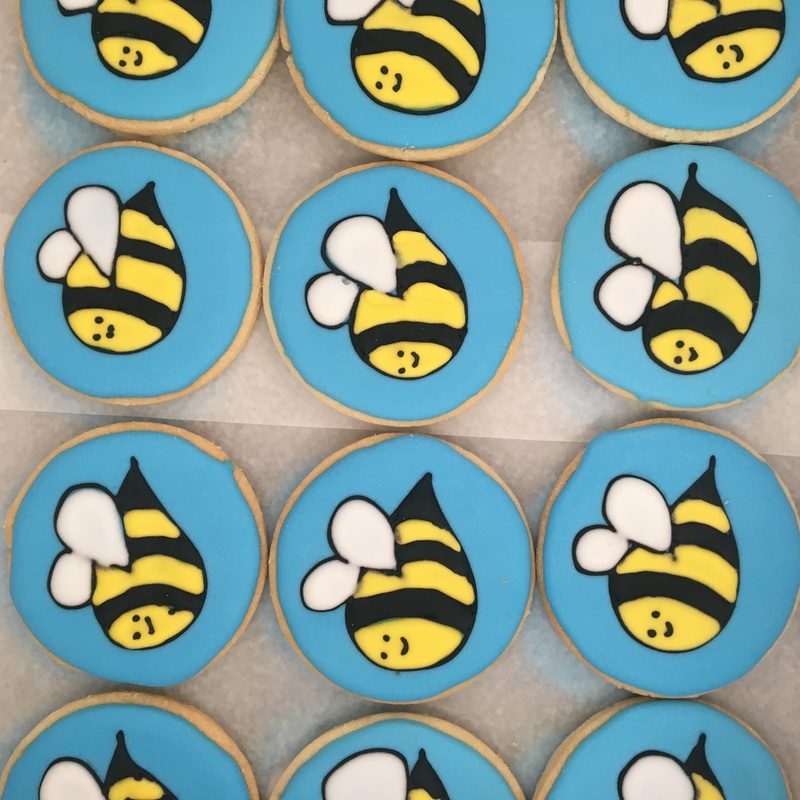 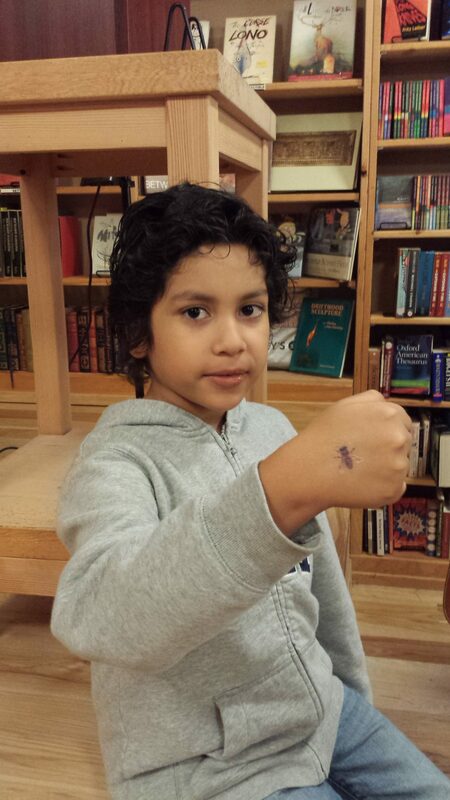 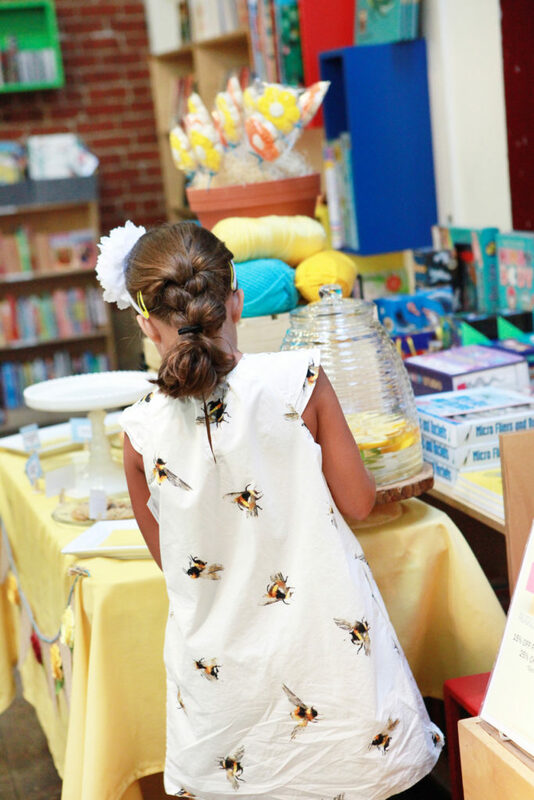 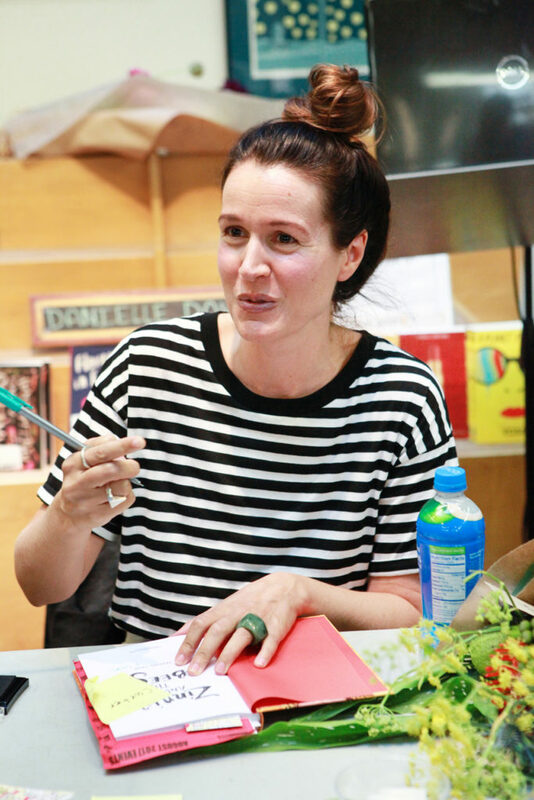 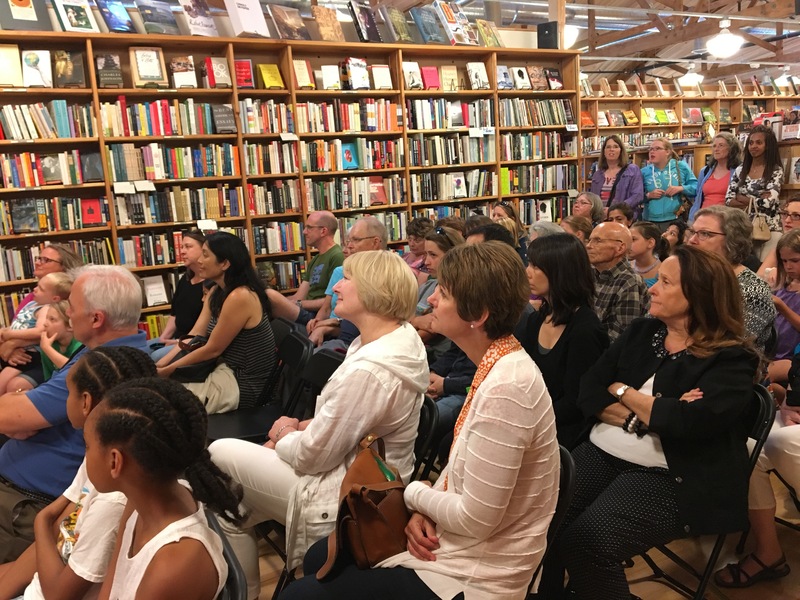 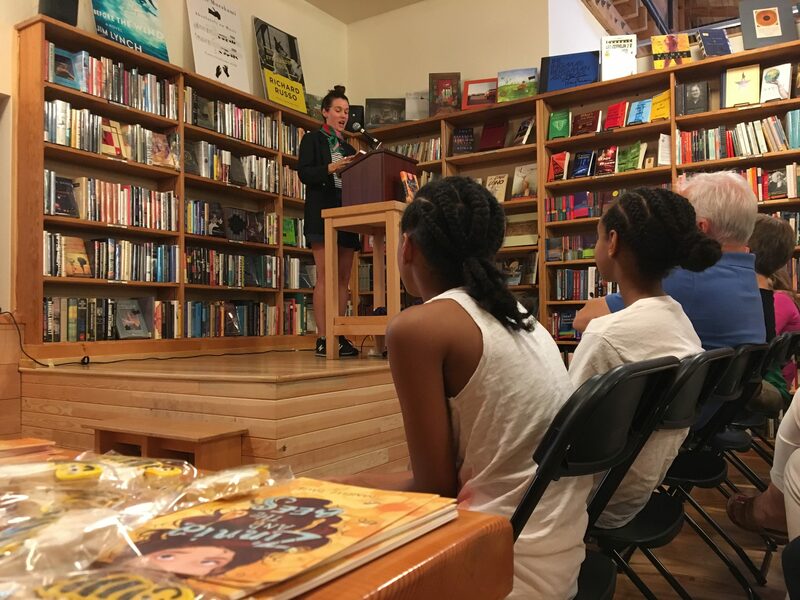 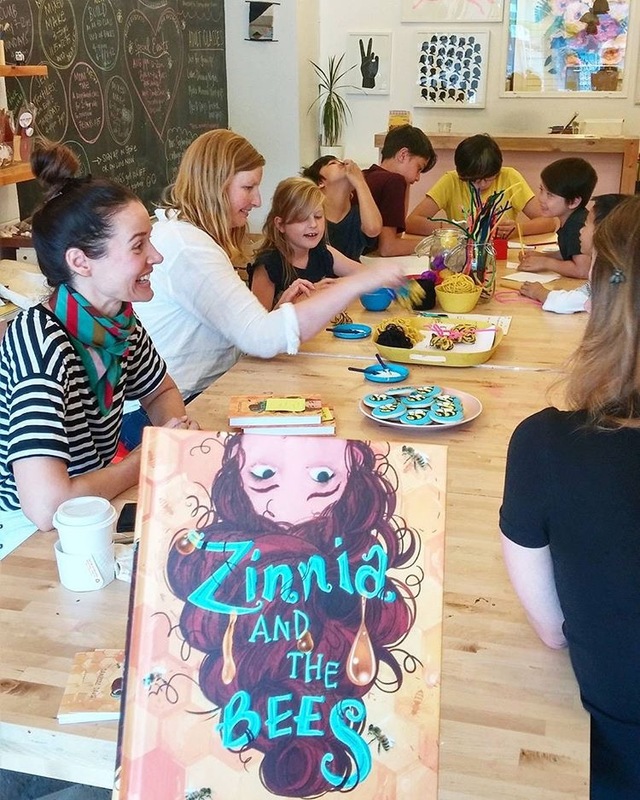 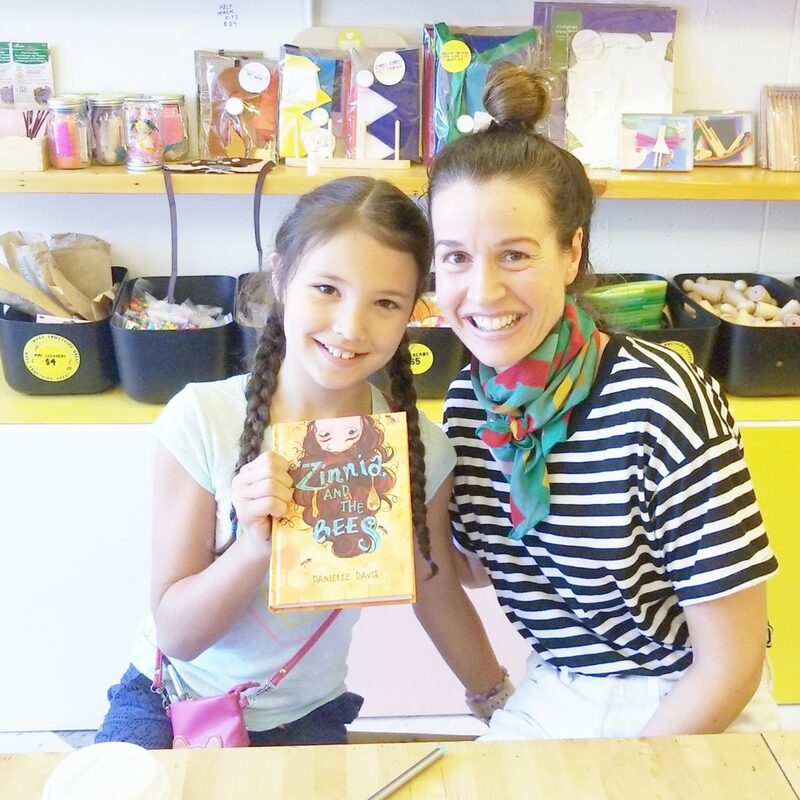 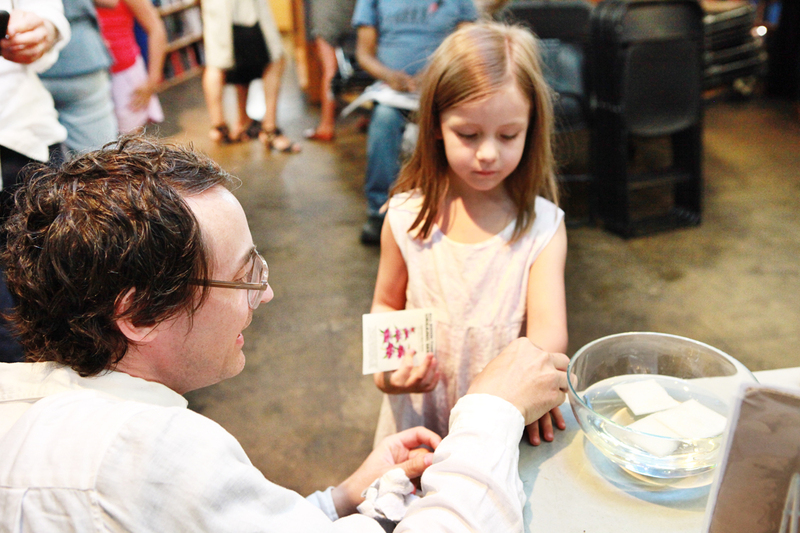 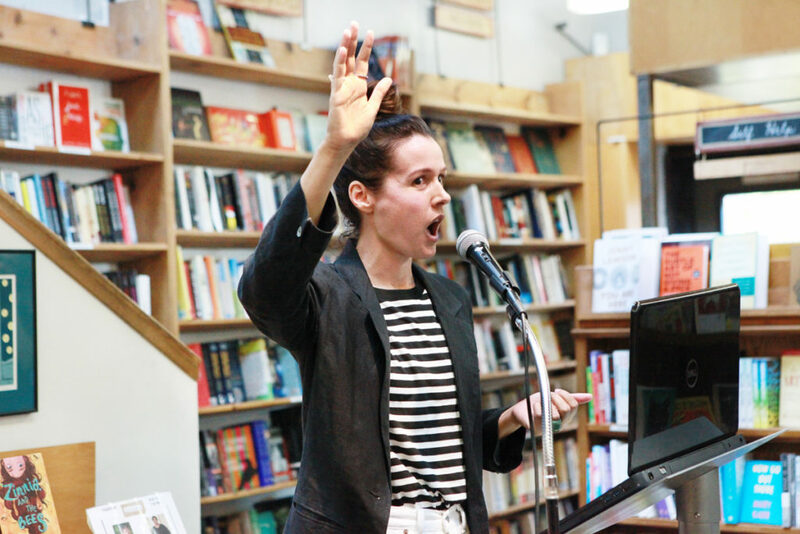 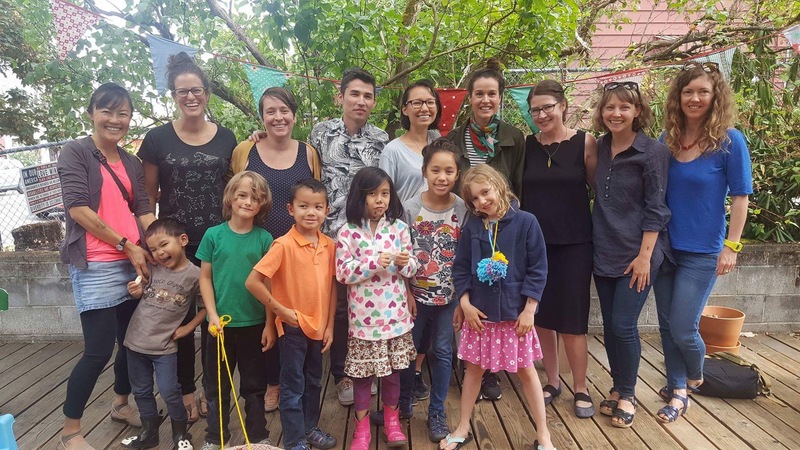 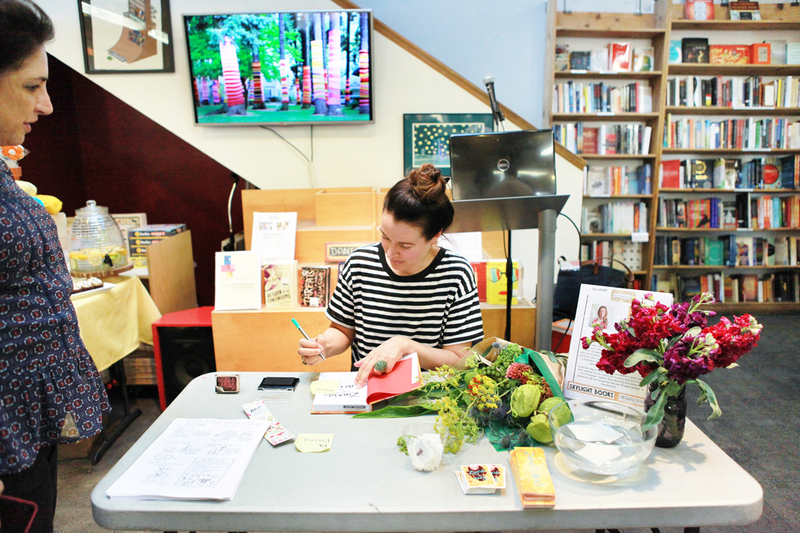 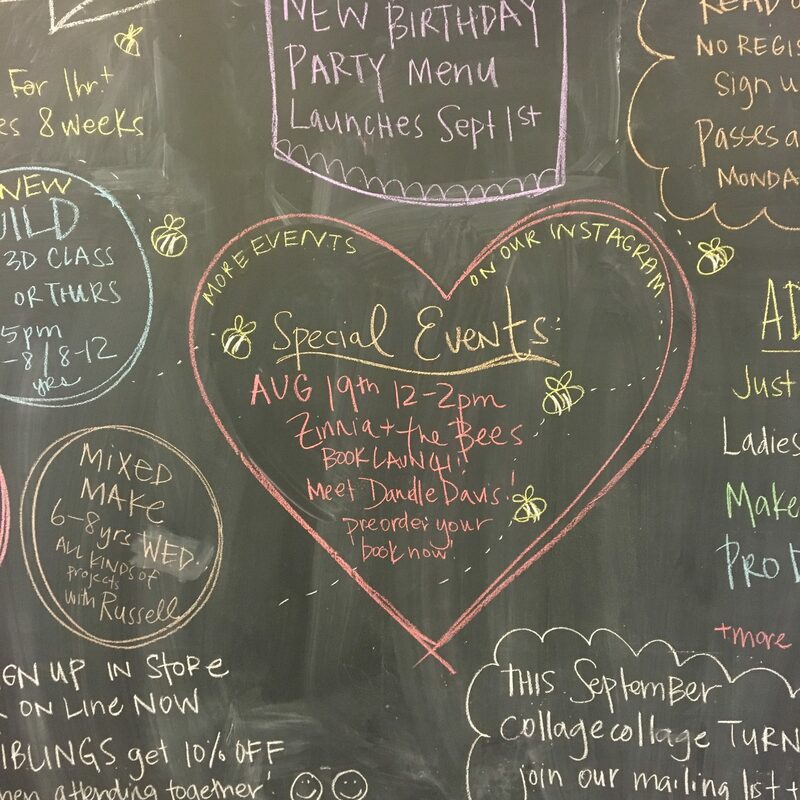 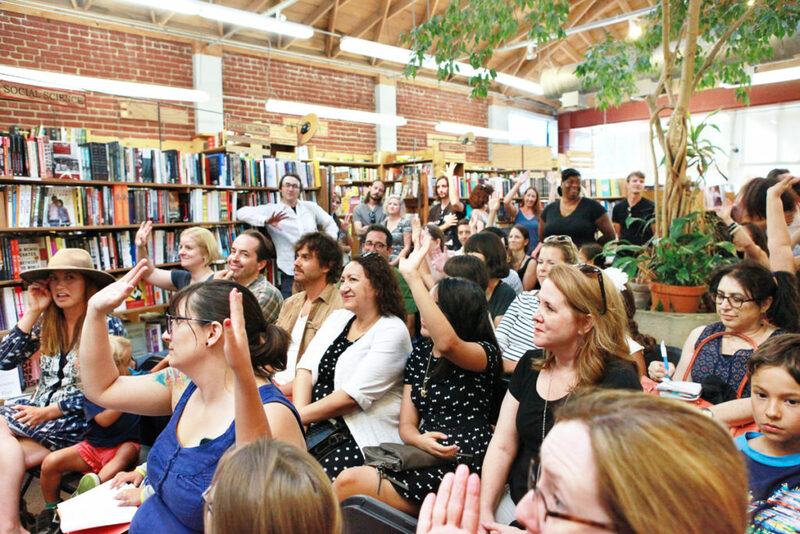 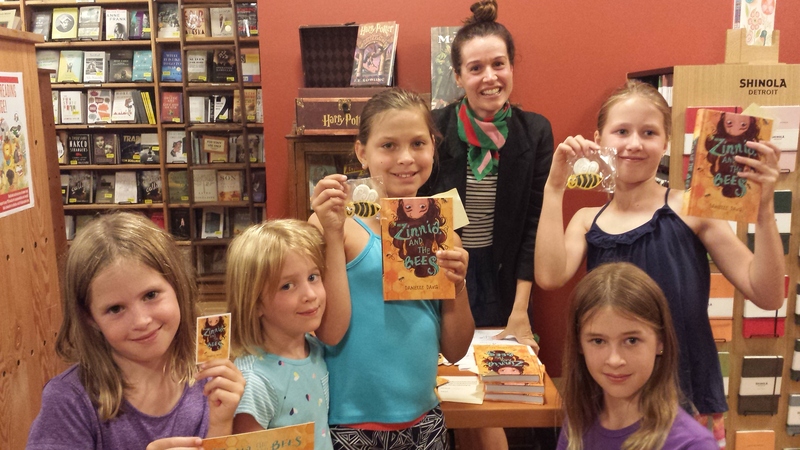 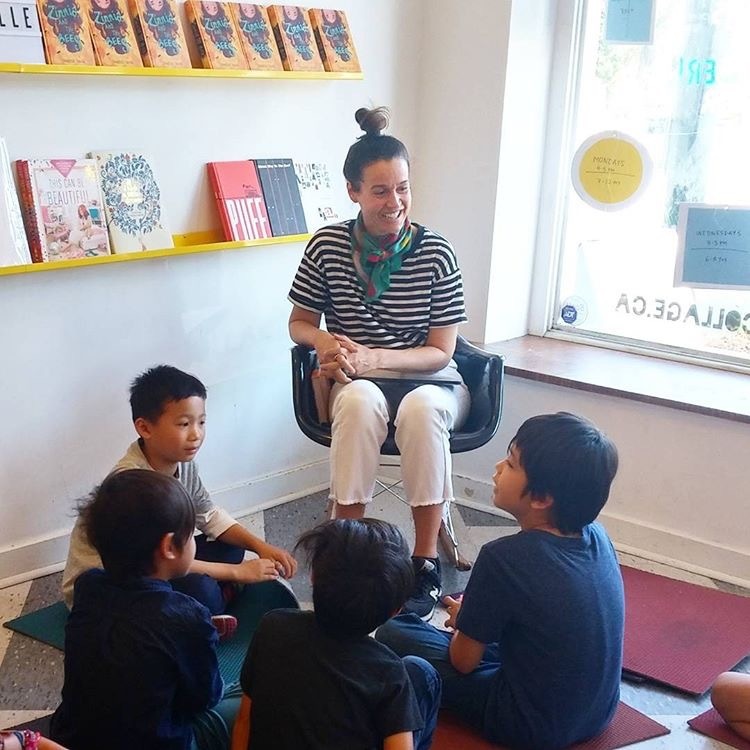 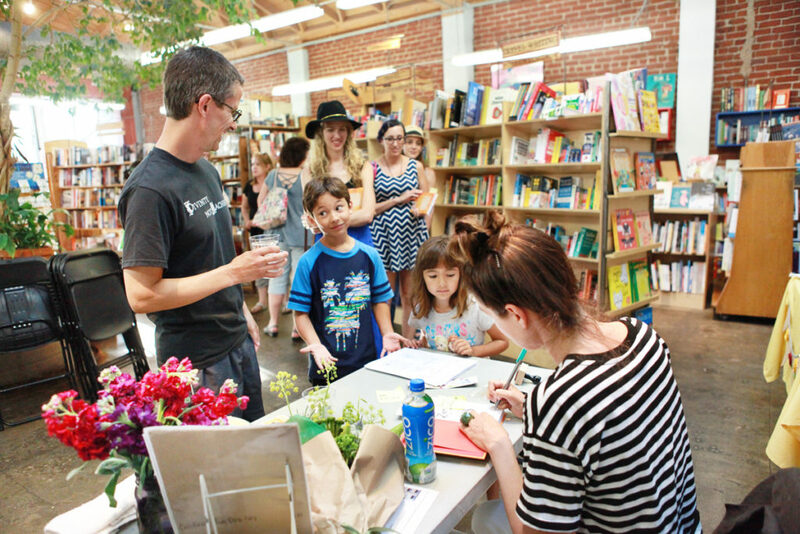 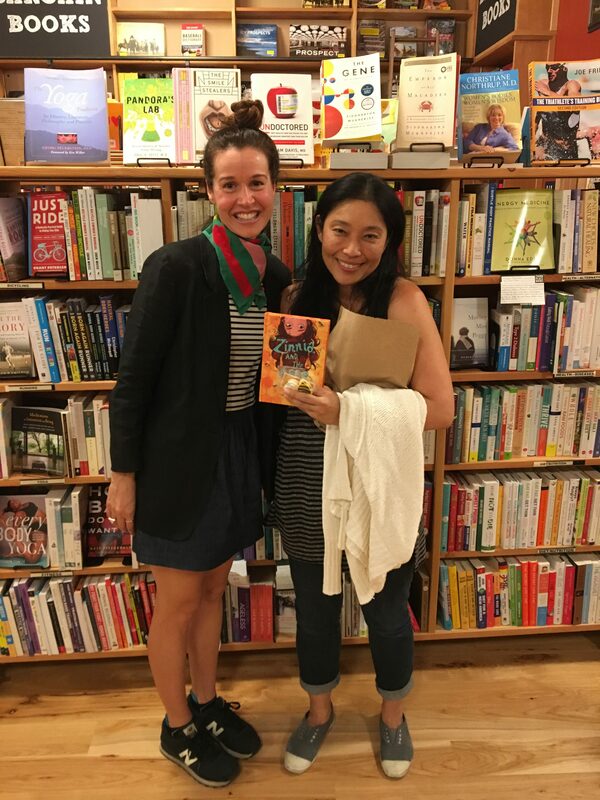 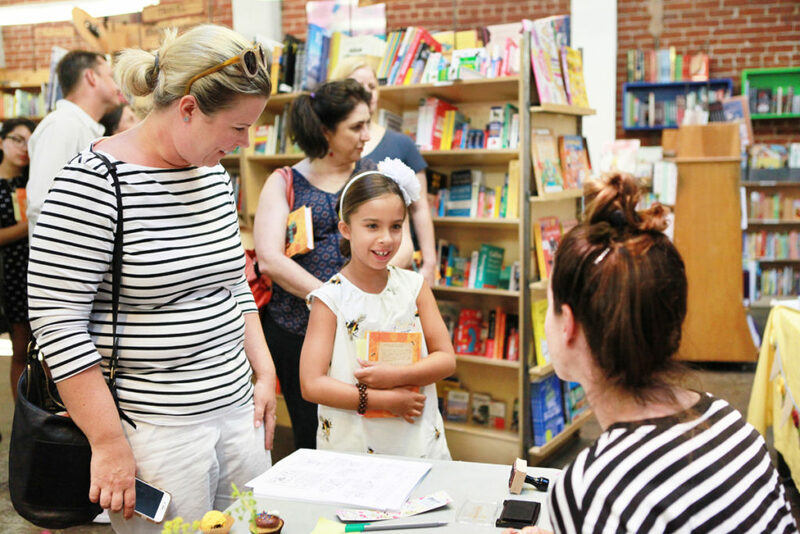 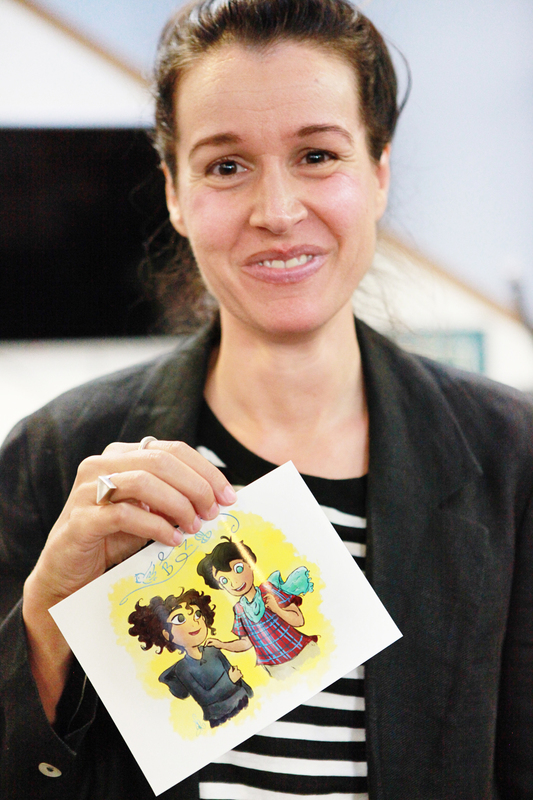 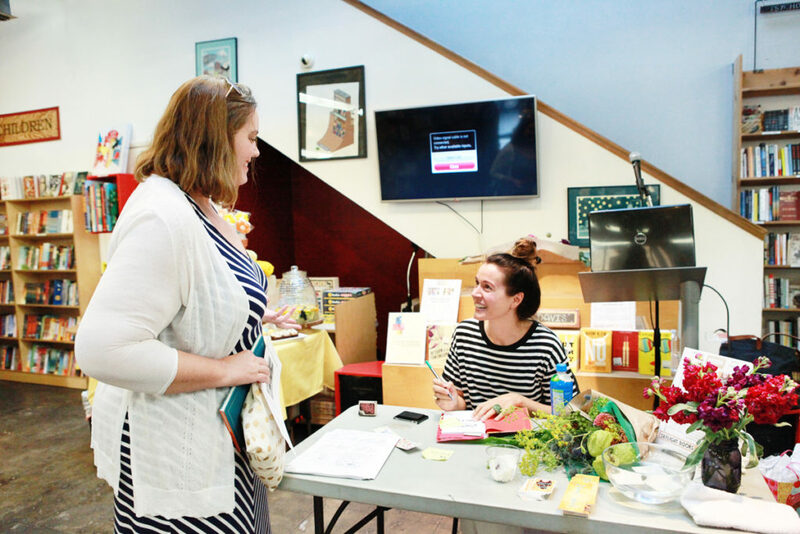 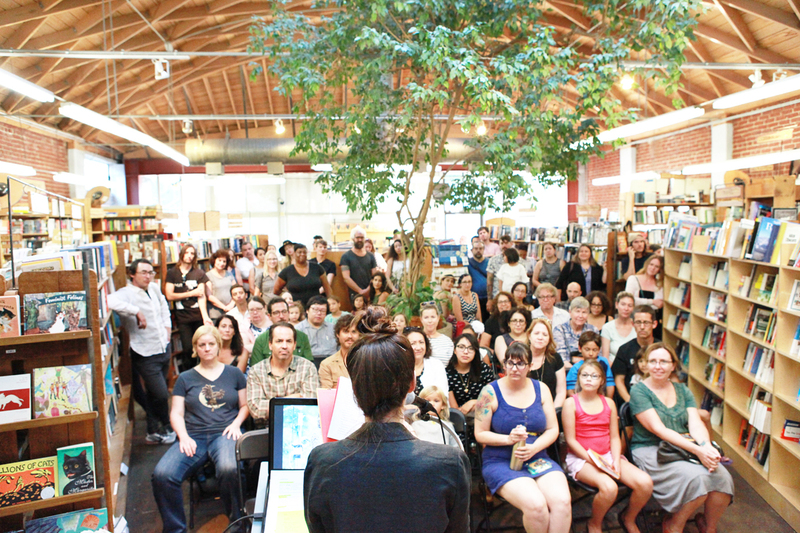 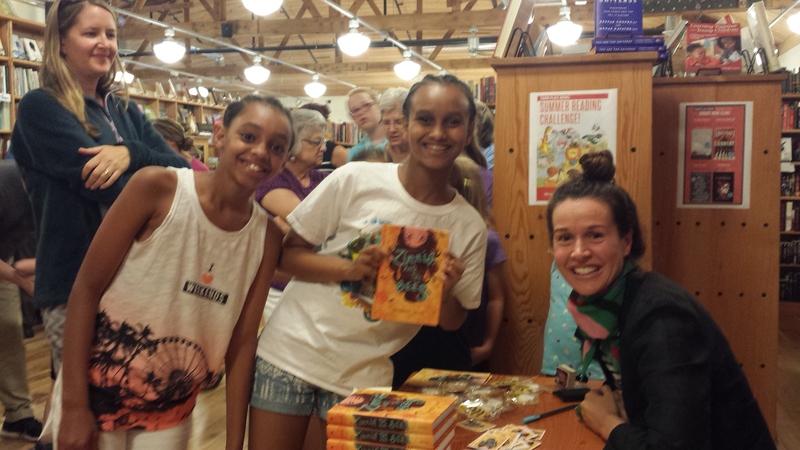 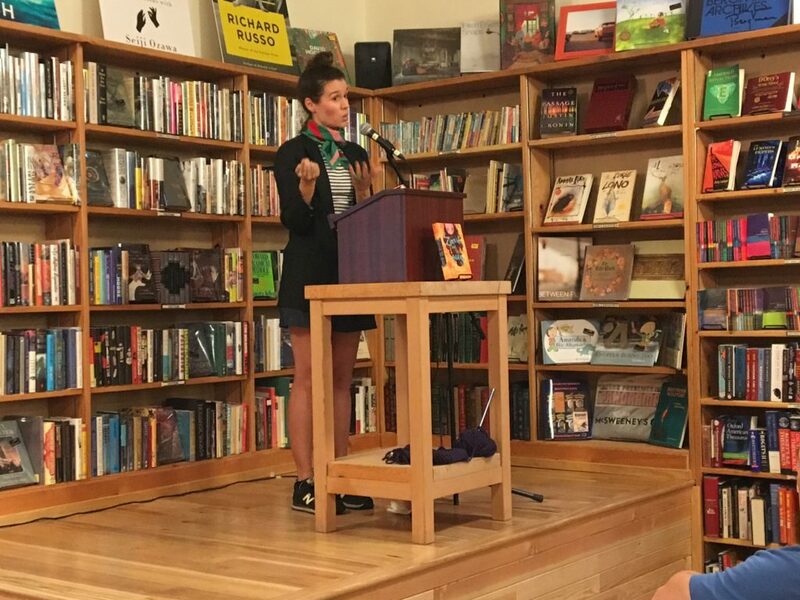 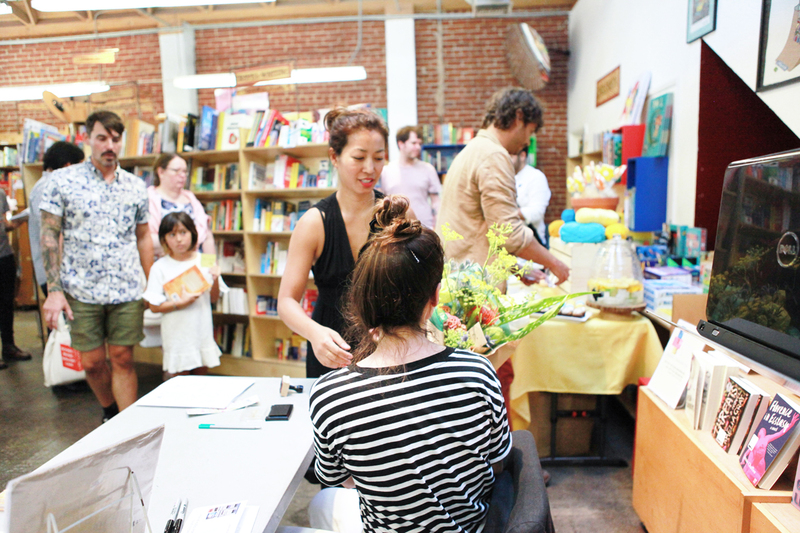 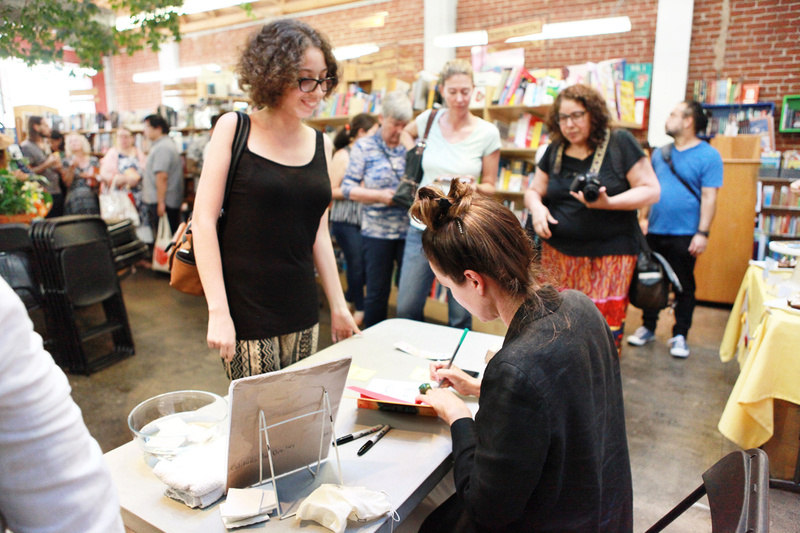 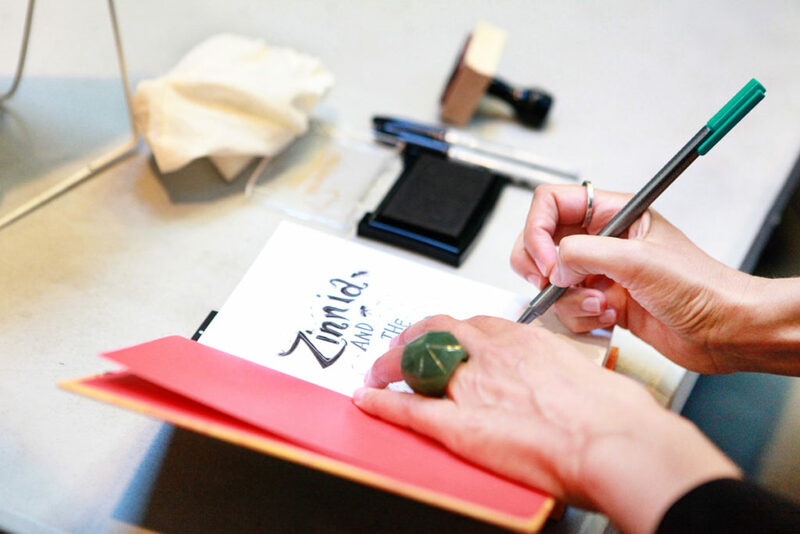 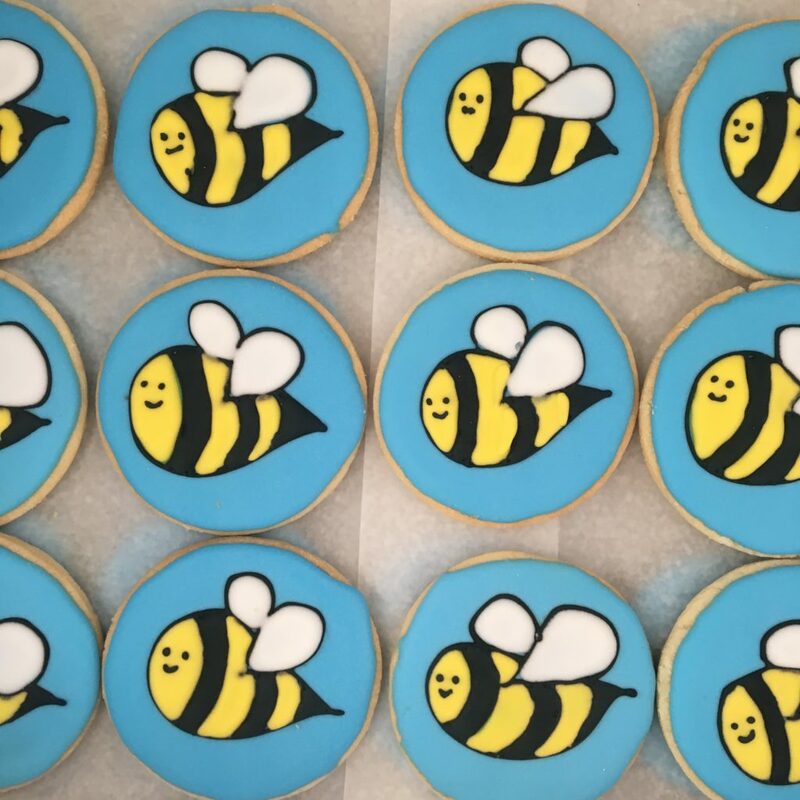 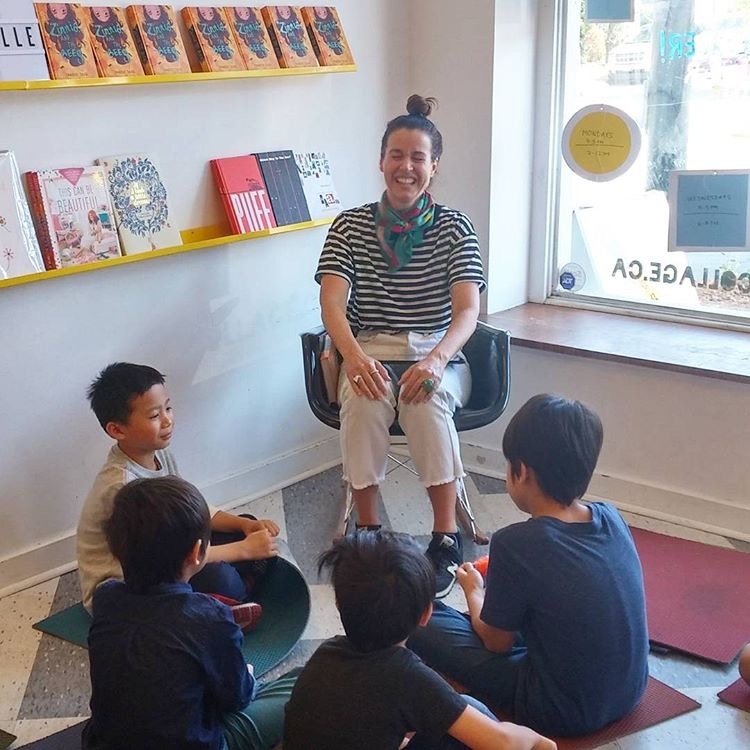 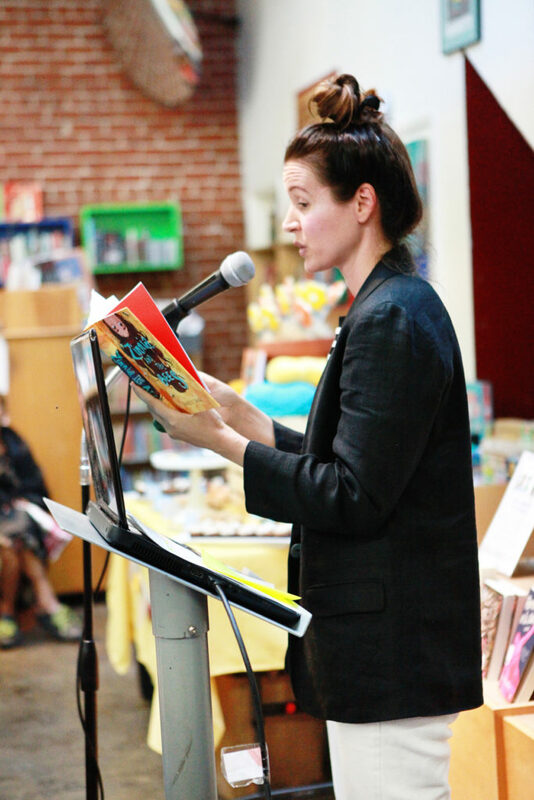 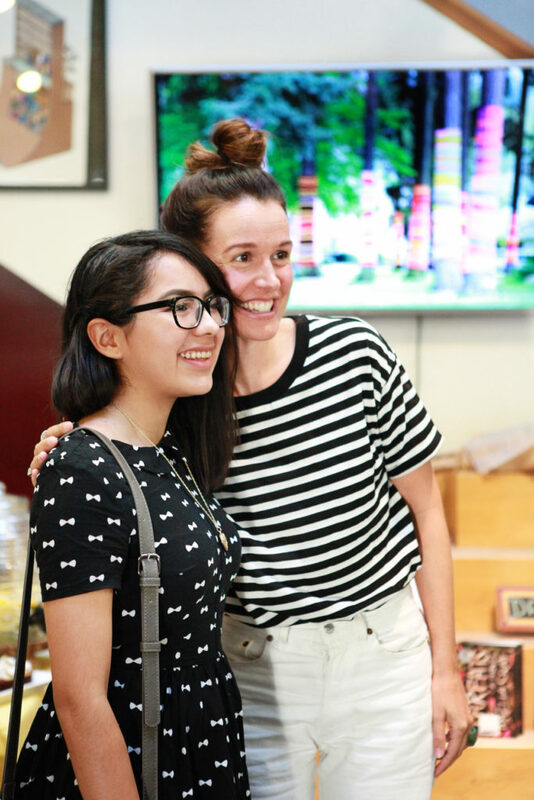 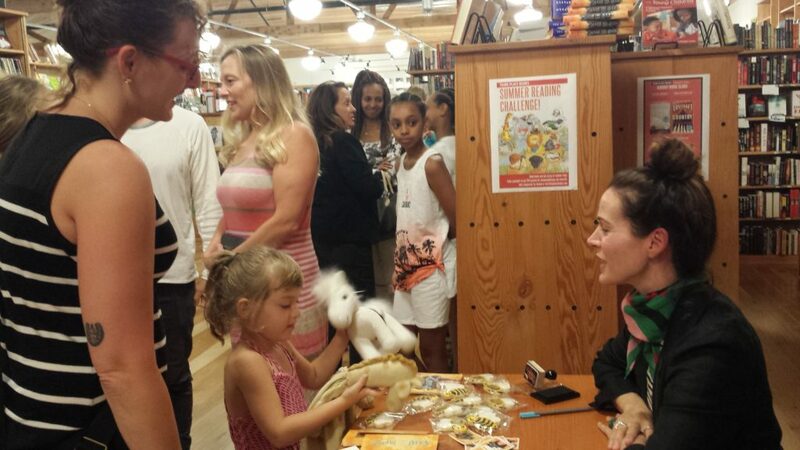 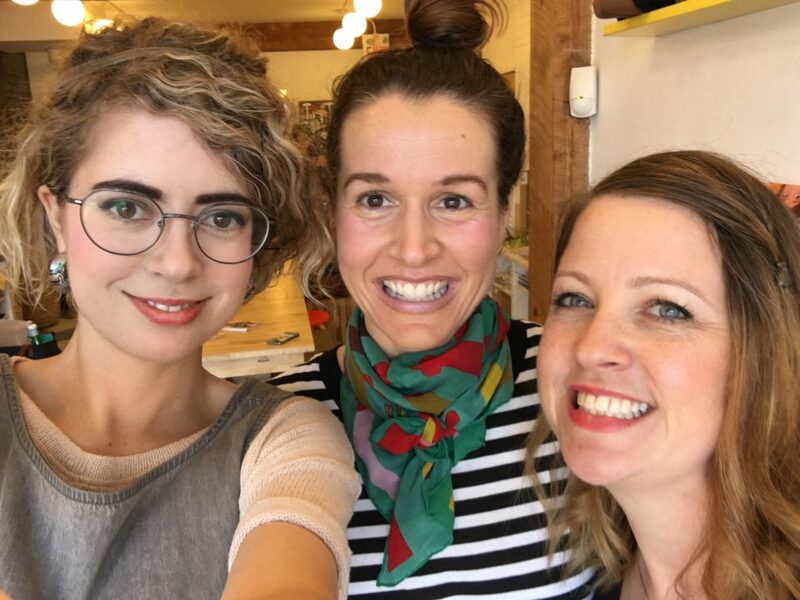 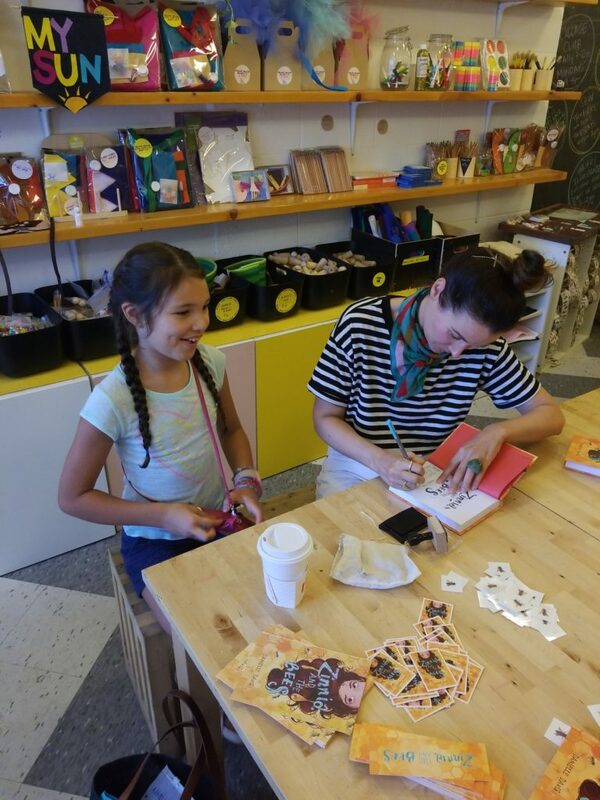 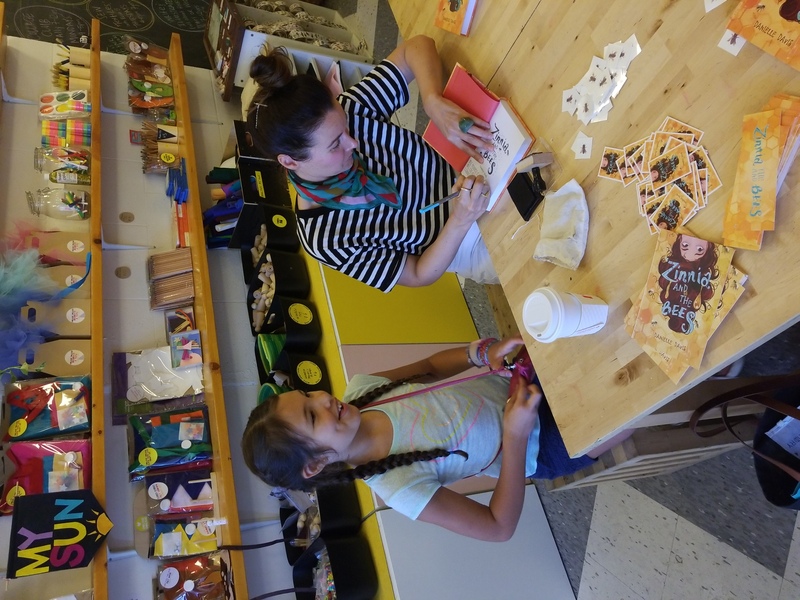 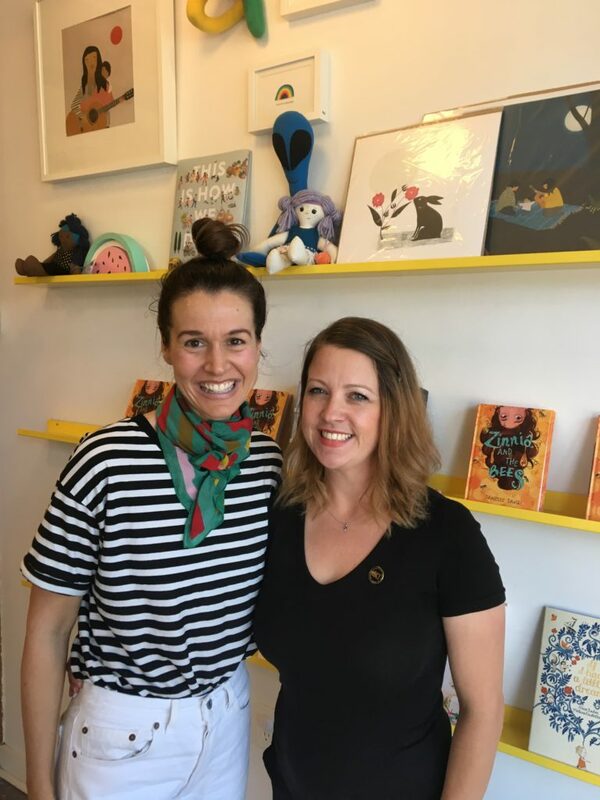 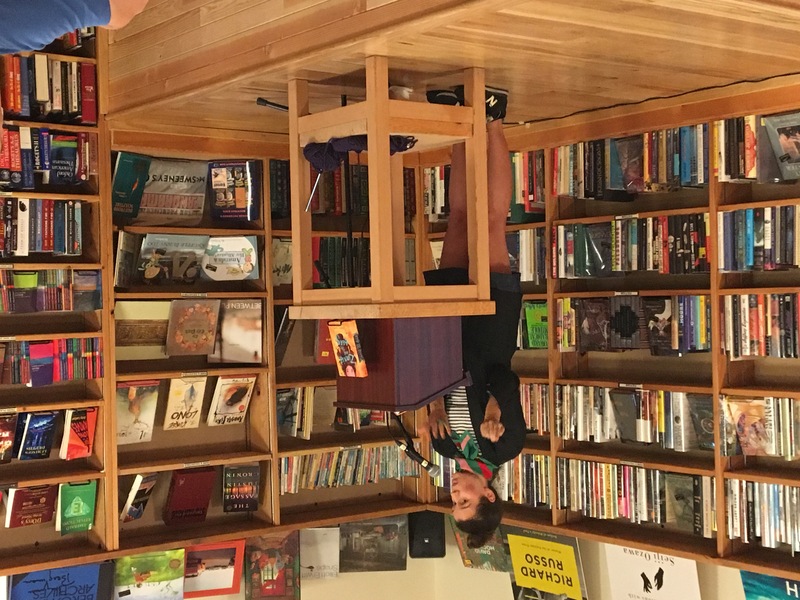 Last Saturday was the launch for Zinnia and the Bees at Skylight Books! 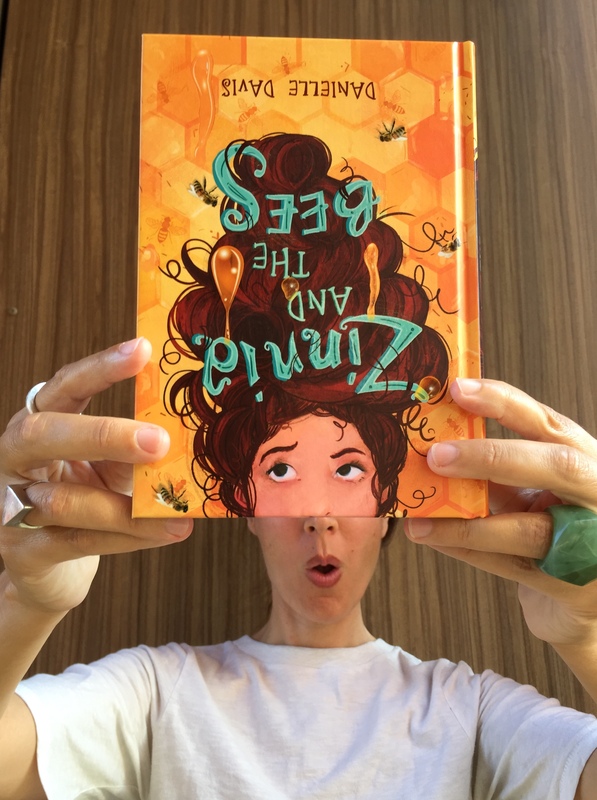 And Michelle Sterling of Avery and Augustine (you’ve gotta check out her Instagram) and the Little Lit Book Series was kind enough to lend her talents and take photos. 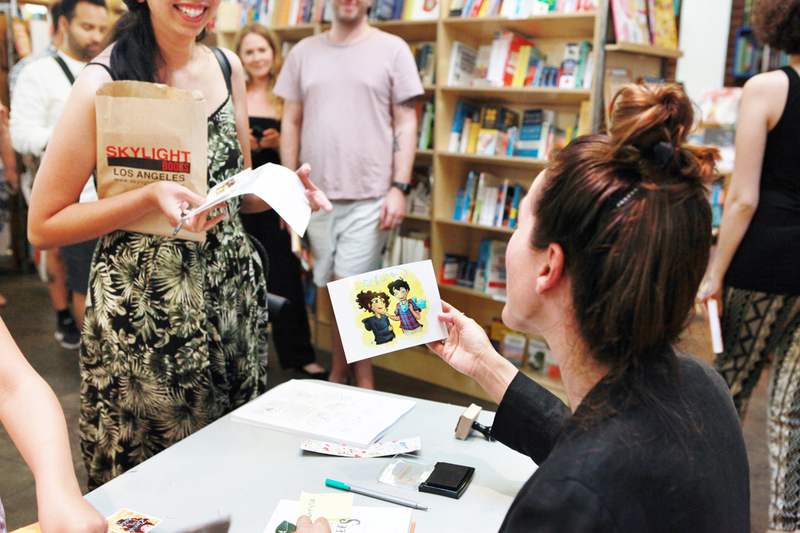 You see, aside from being a reading expert, she’s also a photographer! 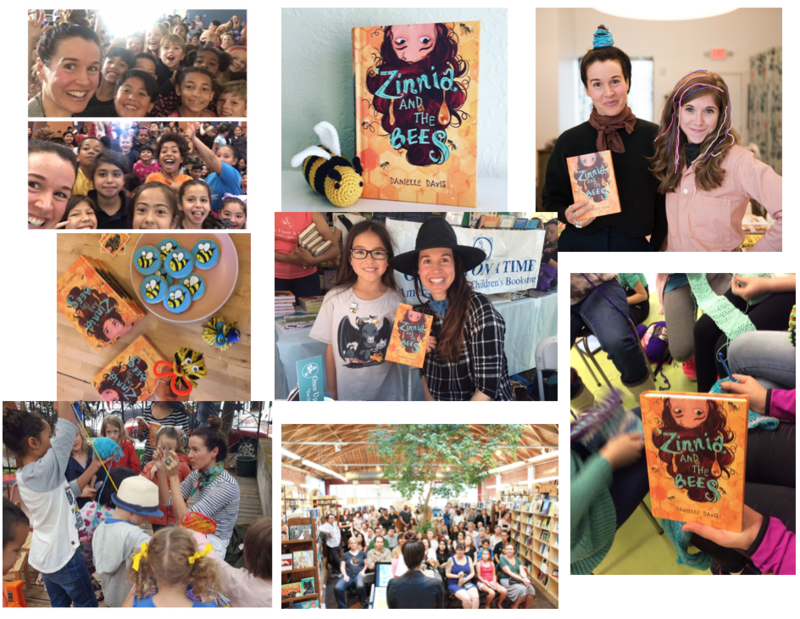 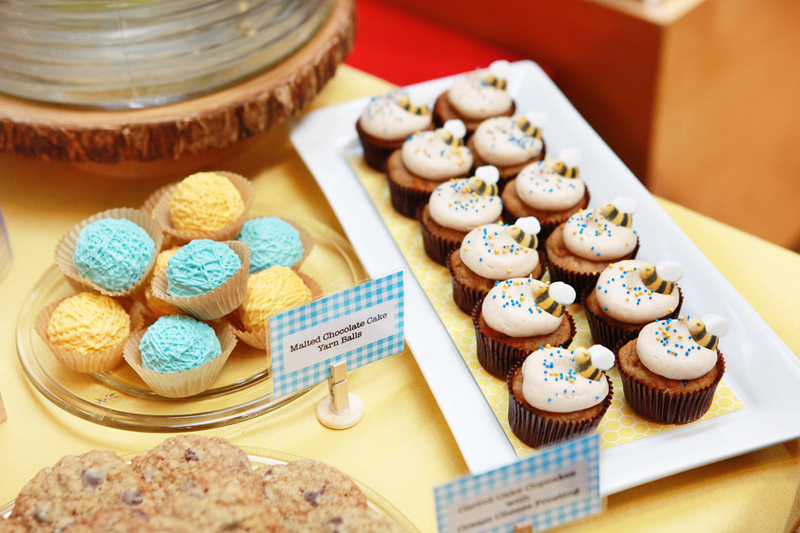 Here’s a visual recap of the event, which was the best ever (as Zinnia would say). 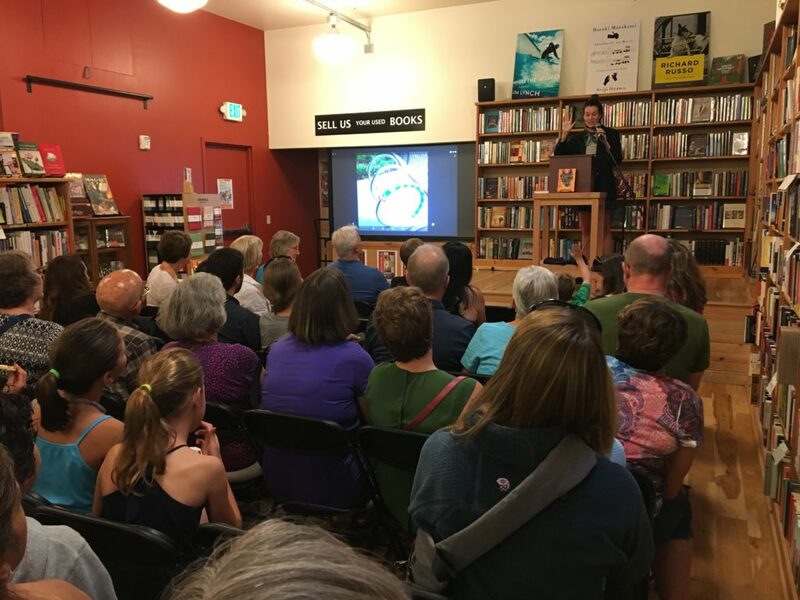 Many thanks to all those who were able to attend as well as those sending support from afar. 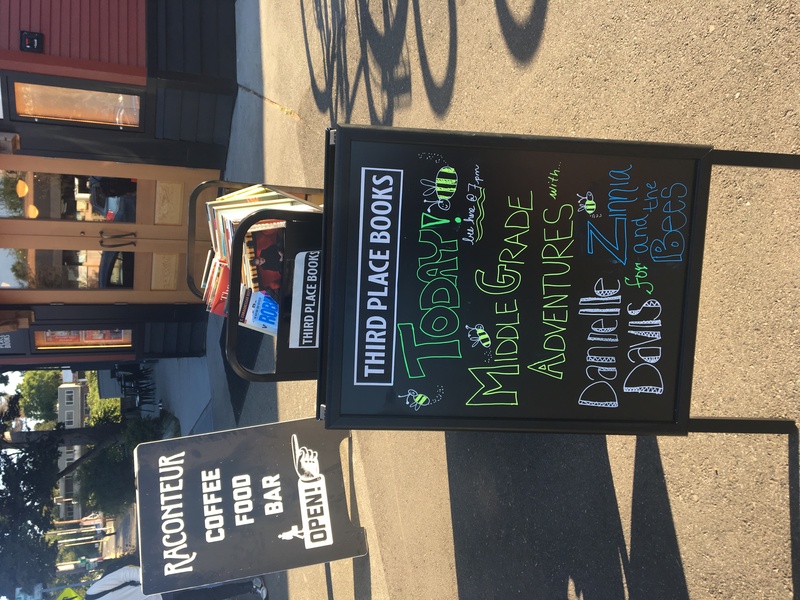 I felt it and appreciate it very much! 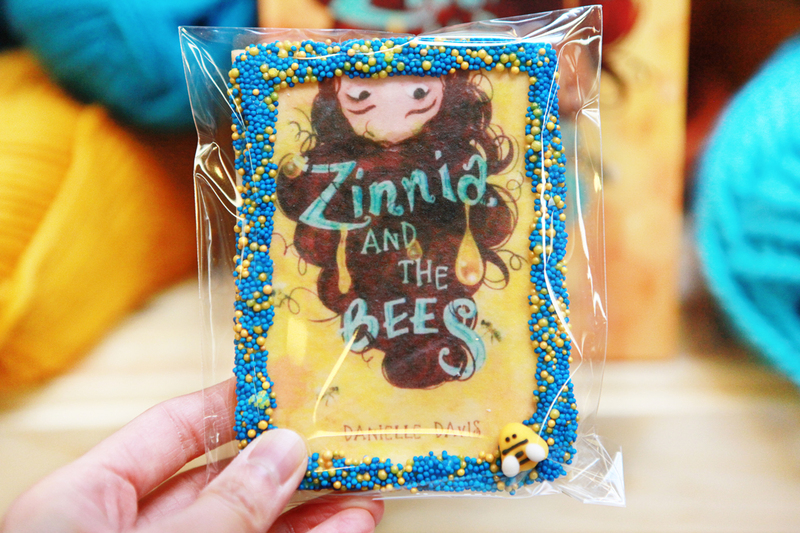 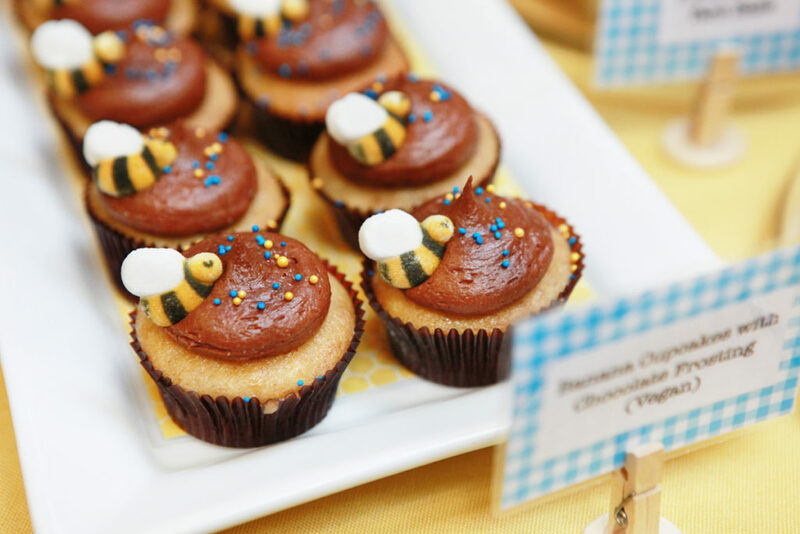 And a big shout out to my dear friend Bonnie at Thirsty for Tea for Zinnia and the Bees treats of my dreams! If you’d like to get your own signed copy of the book, you can order through Skylight Books and make a note of that in the checkout—that way, they’ll send you a signed one straight to you from my hometown! 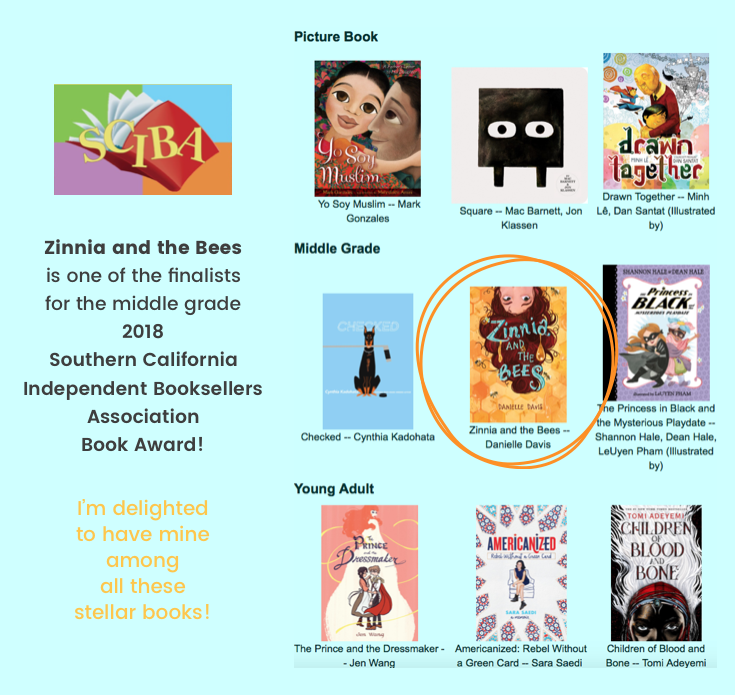 And many thanks! 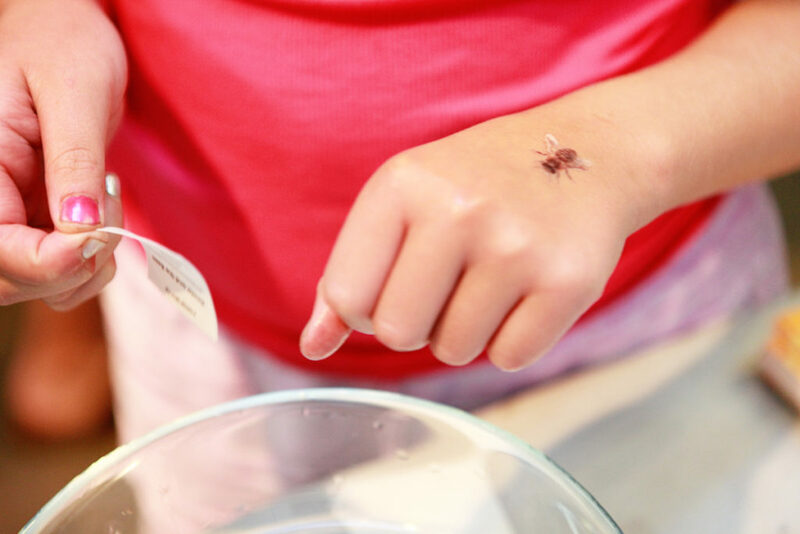 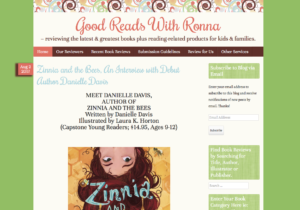 zinnia and the bees visits blogs! 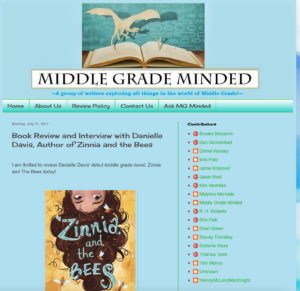 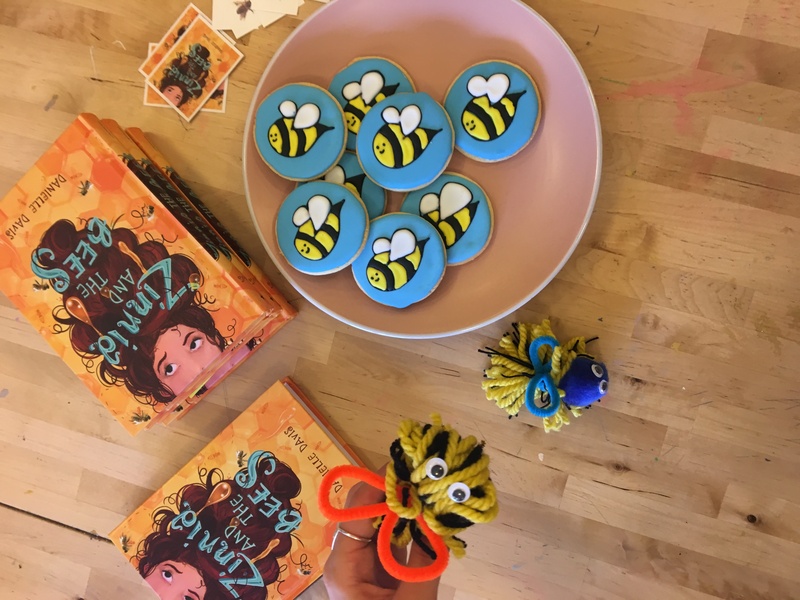 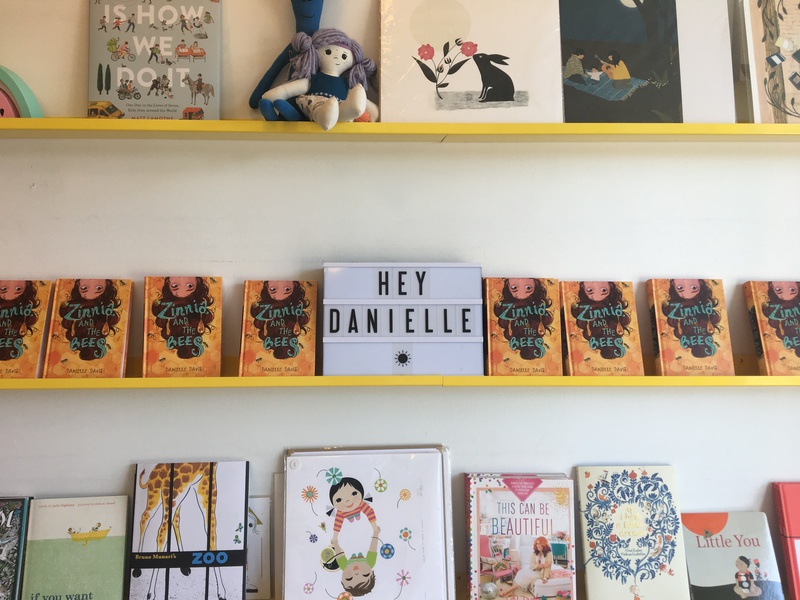 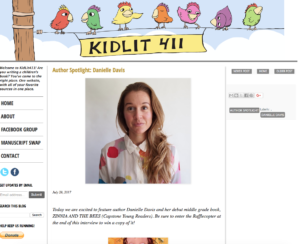 I’ve had the wonderful opportunity to visit some blogs over the past week to talk about Zinnia and the Bees, writing, and more. 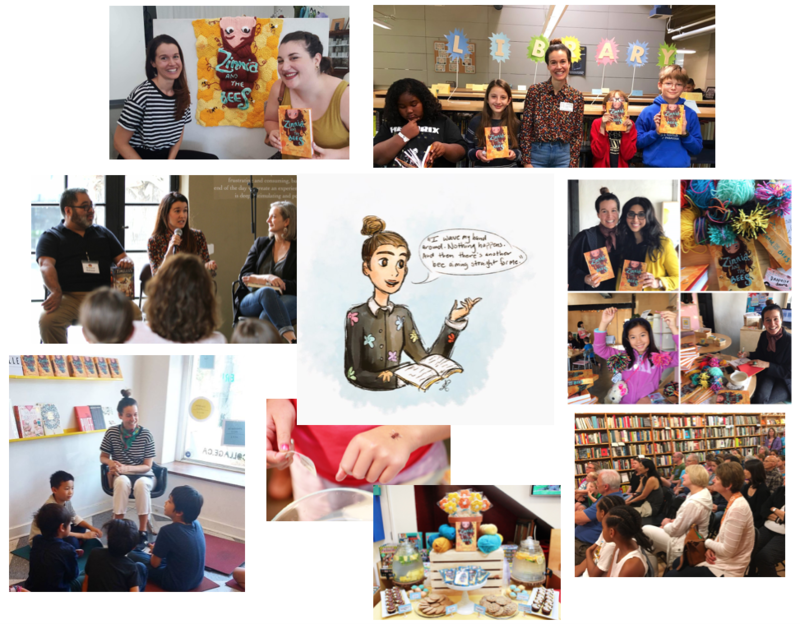 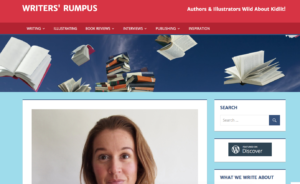 A big thanks to all the bloggers who’ve hosted me! 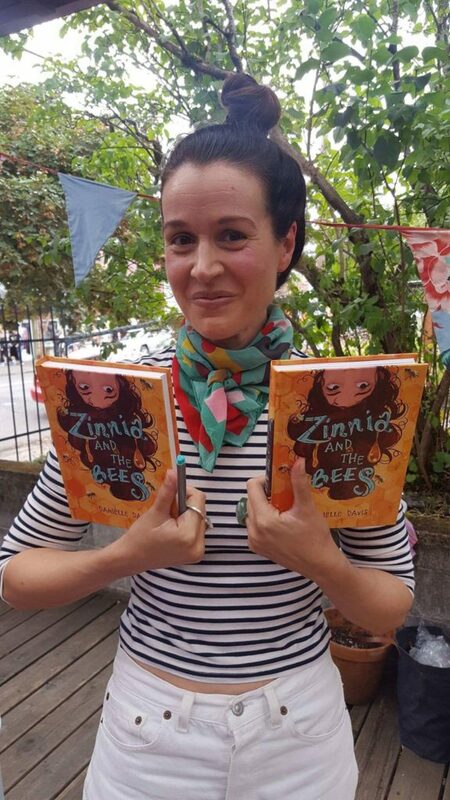 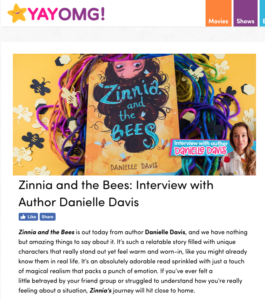 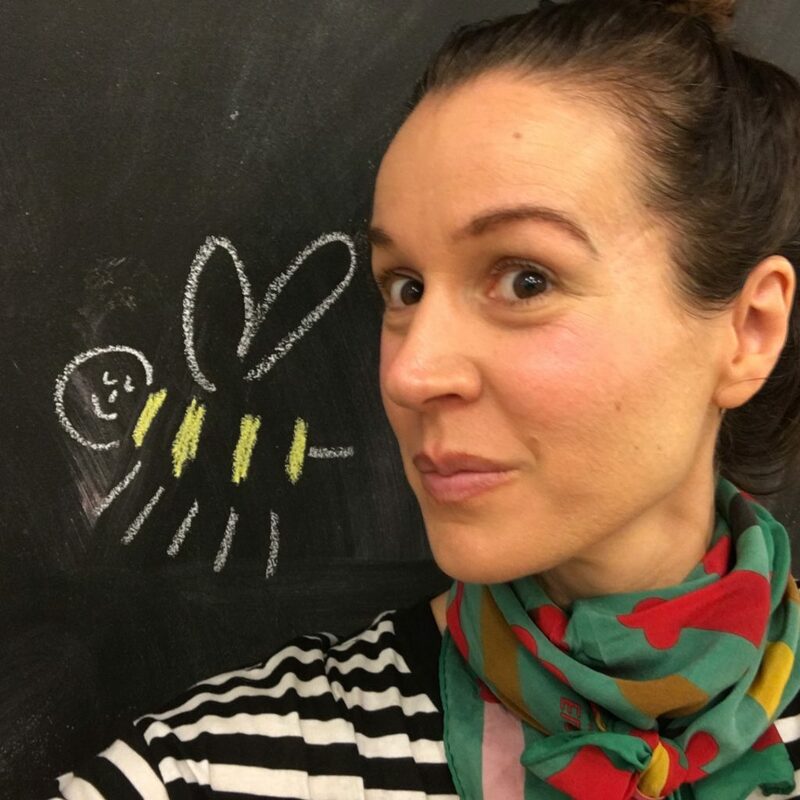 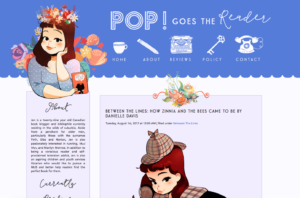 My guest post about how Zinnia and the Bees came to be on Pop! 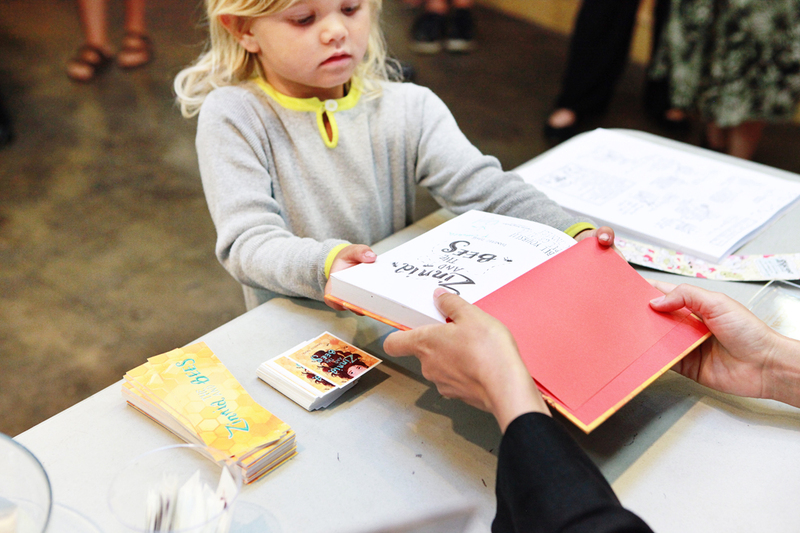 Goes the Reader.